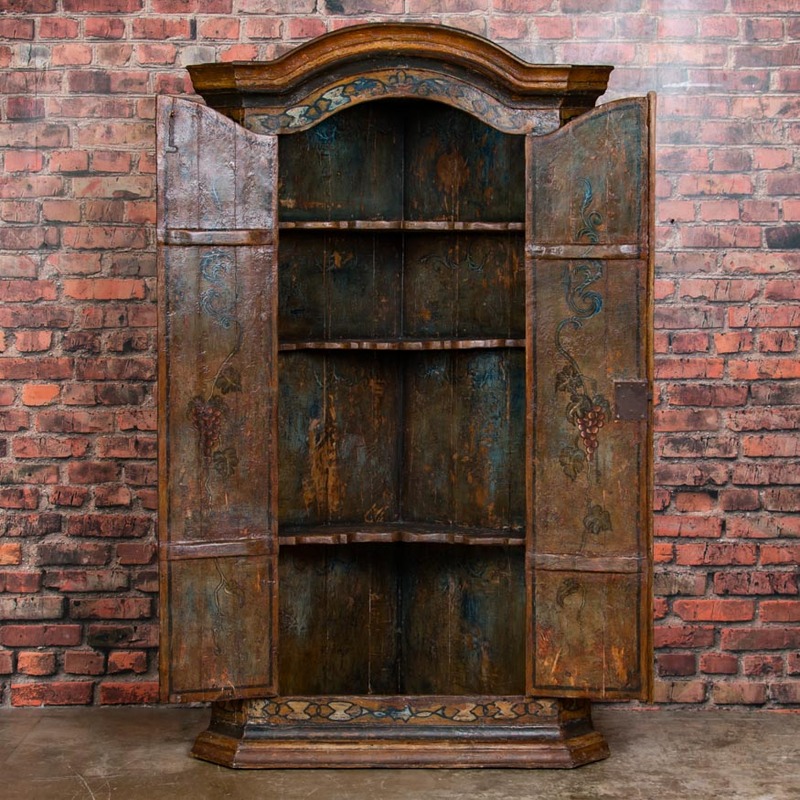 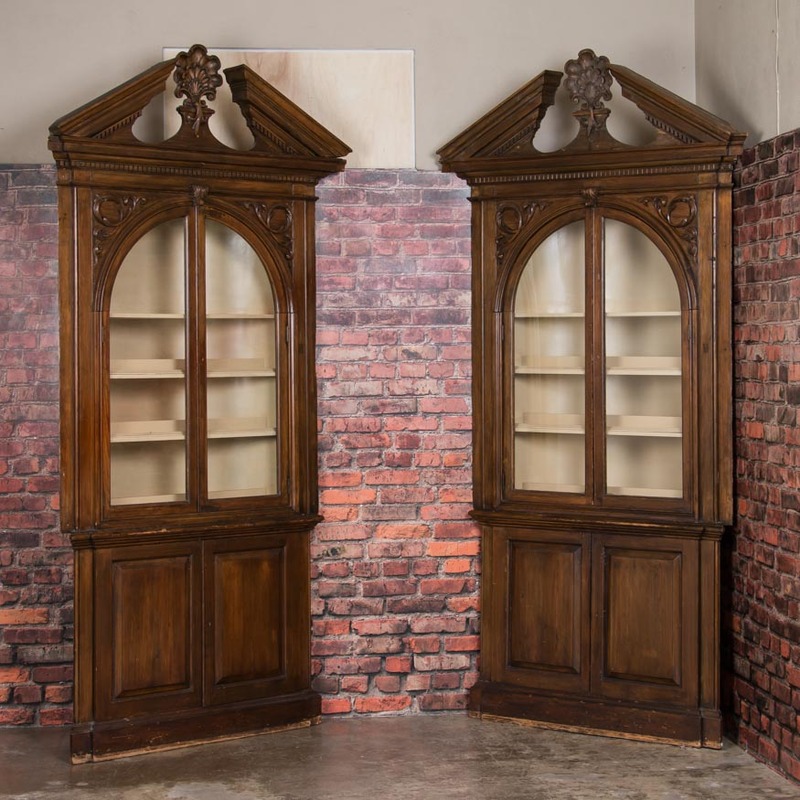 Behind the four hinged paneled doors are a series of shelves, 3 above and 2 below, offering ample storage. 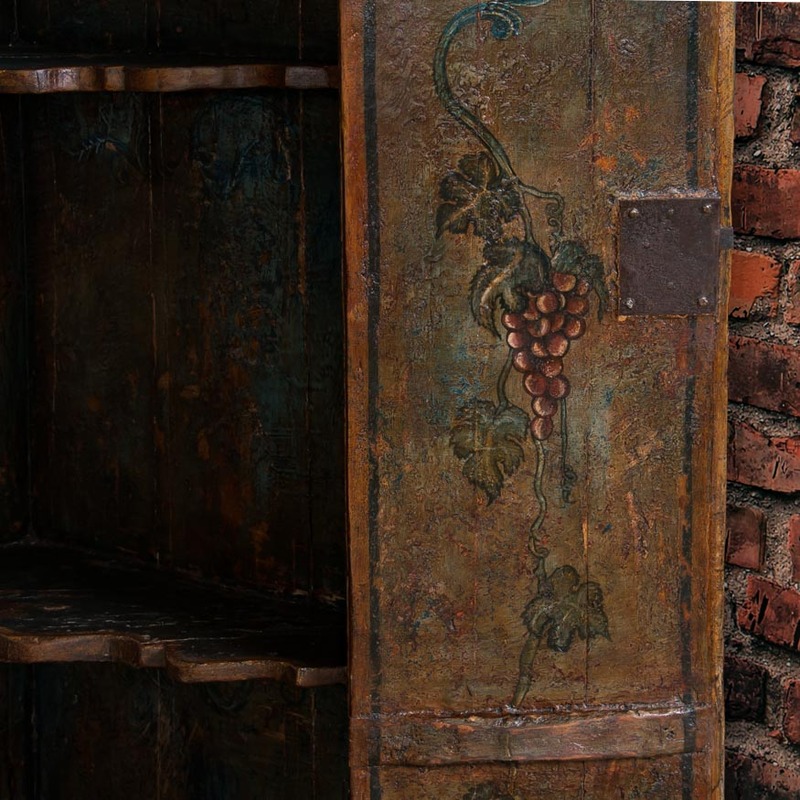 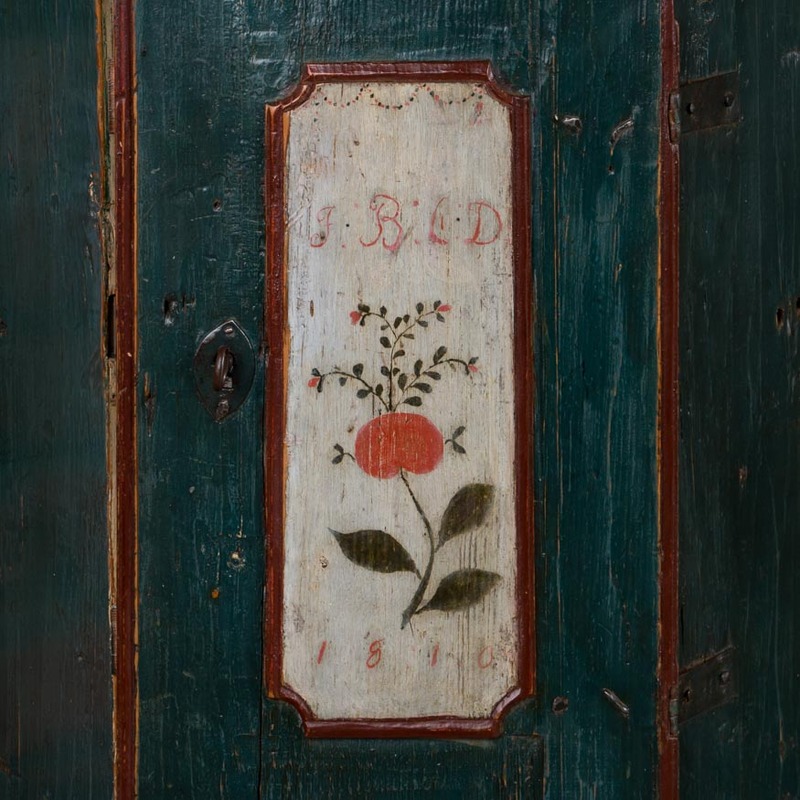 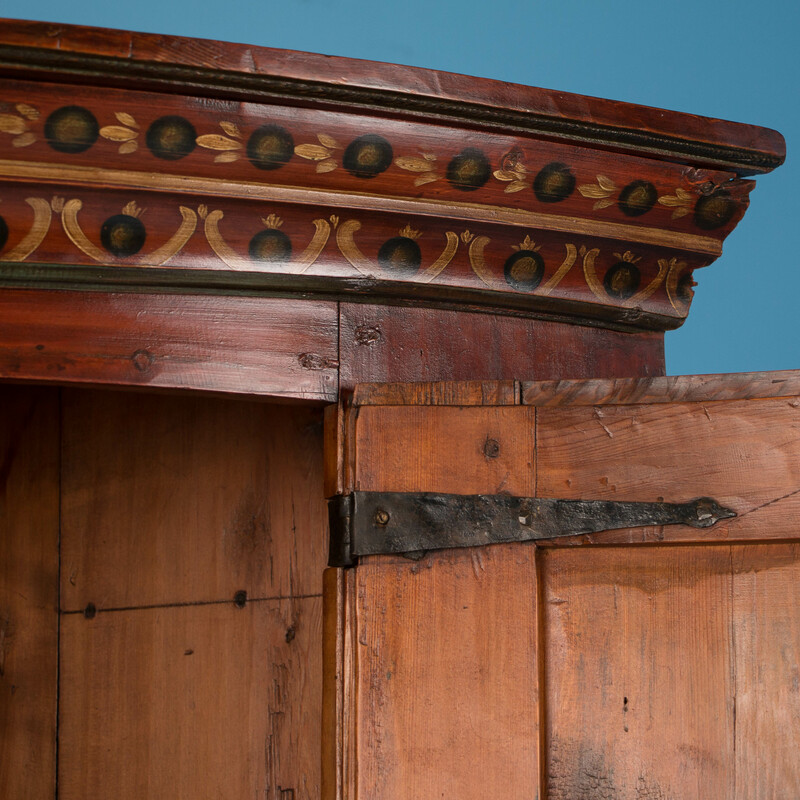 Between the doors, the dividing board or astrigal is attached to the door allowing full access to the interior. 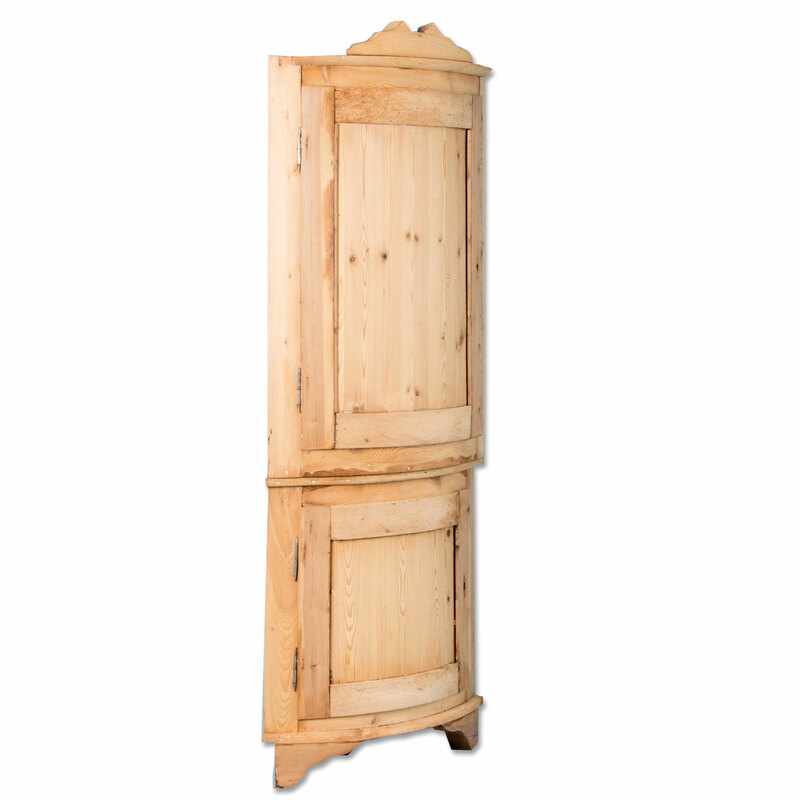 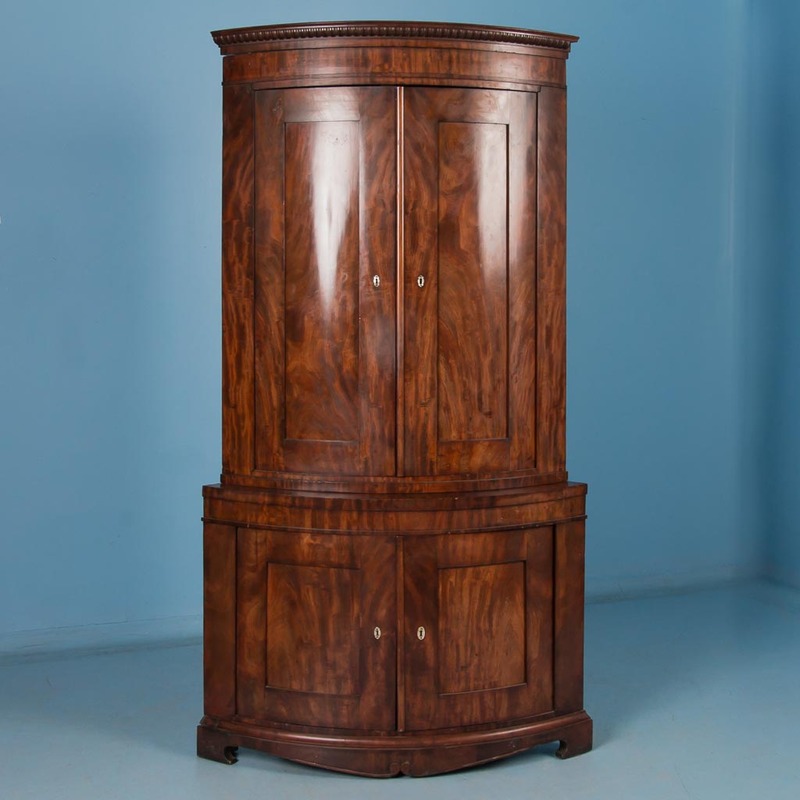 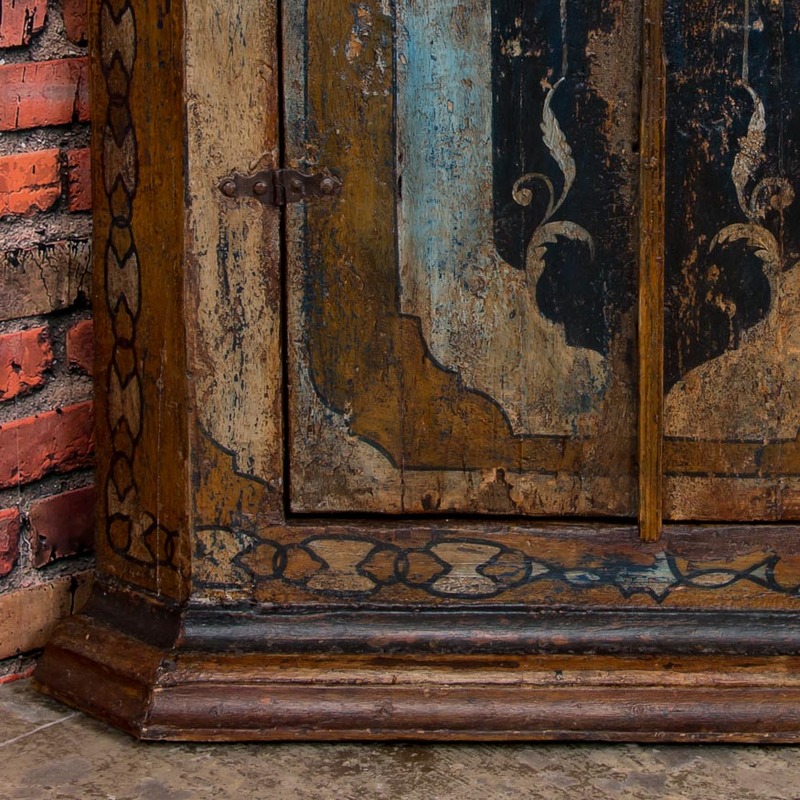 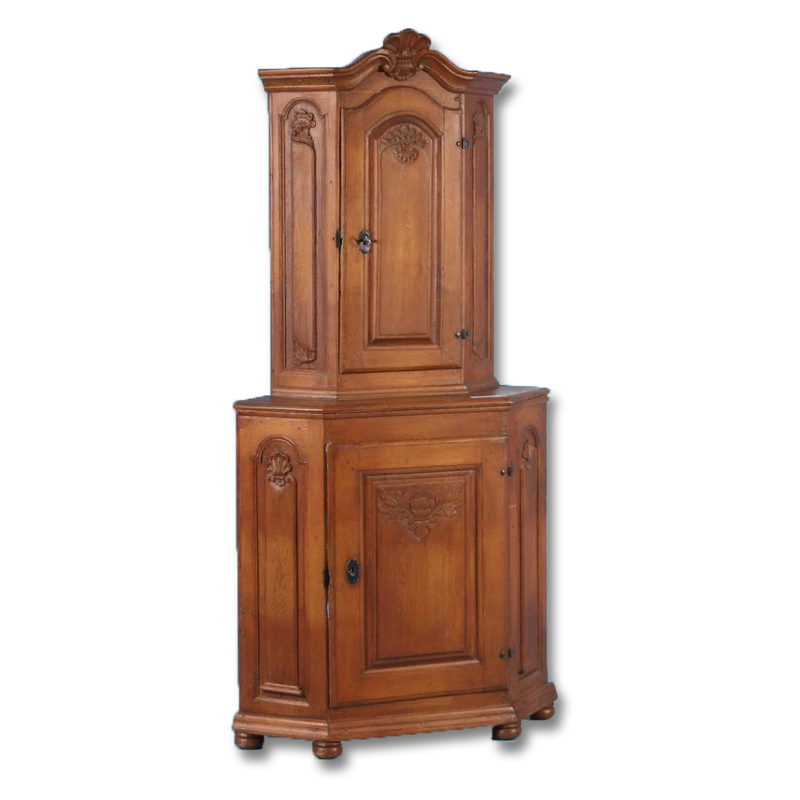 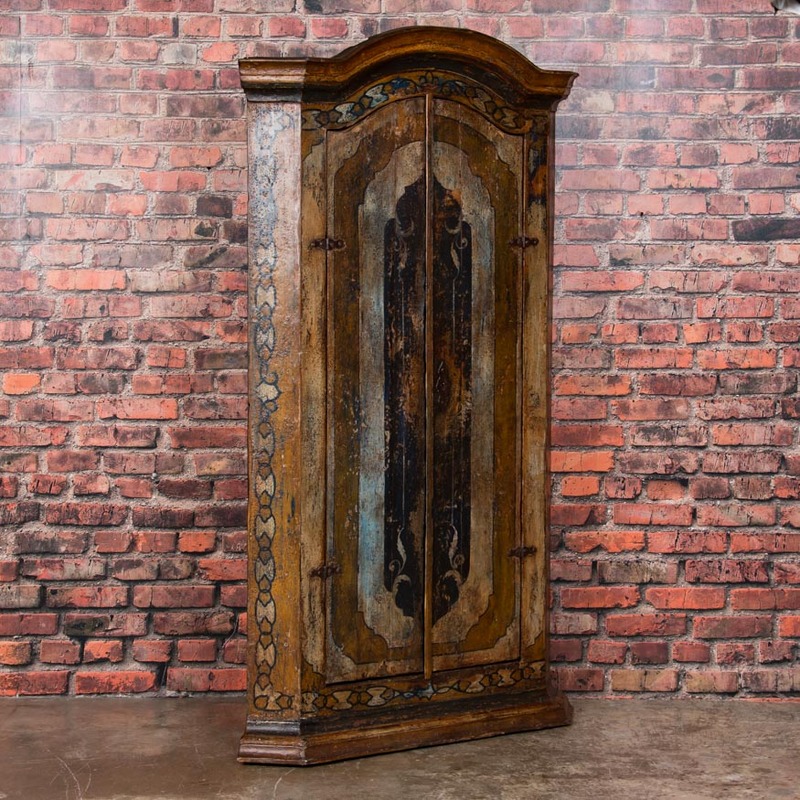 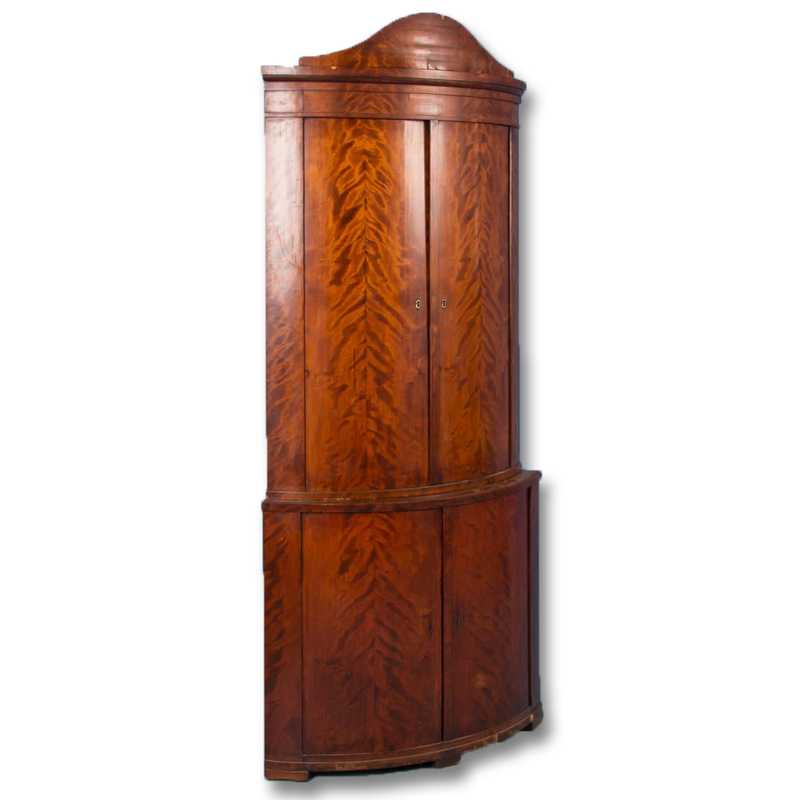 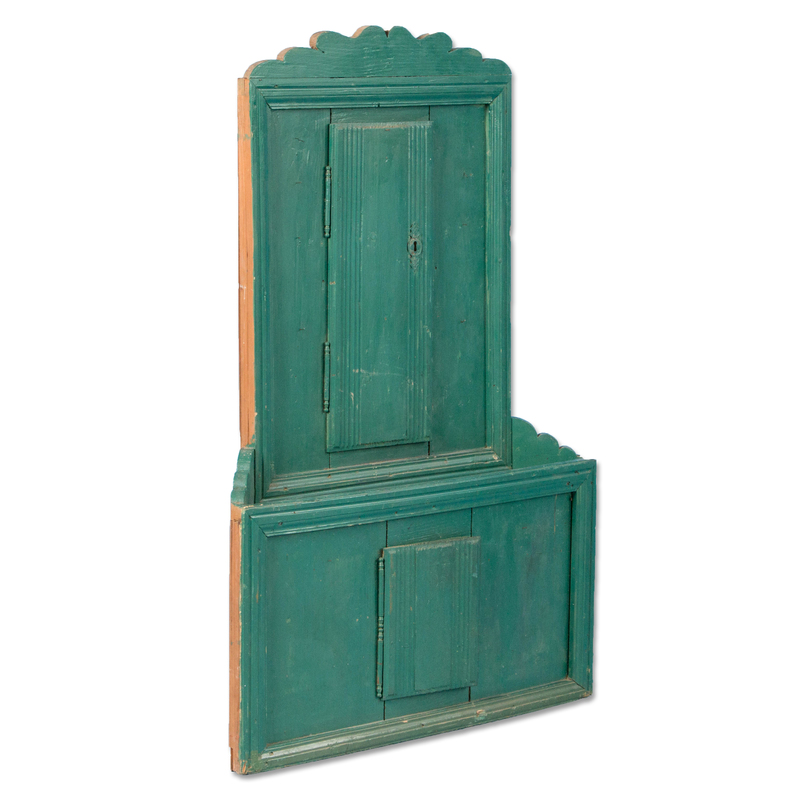 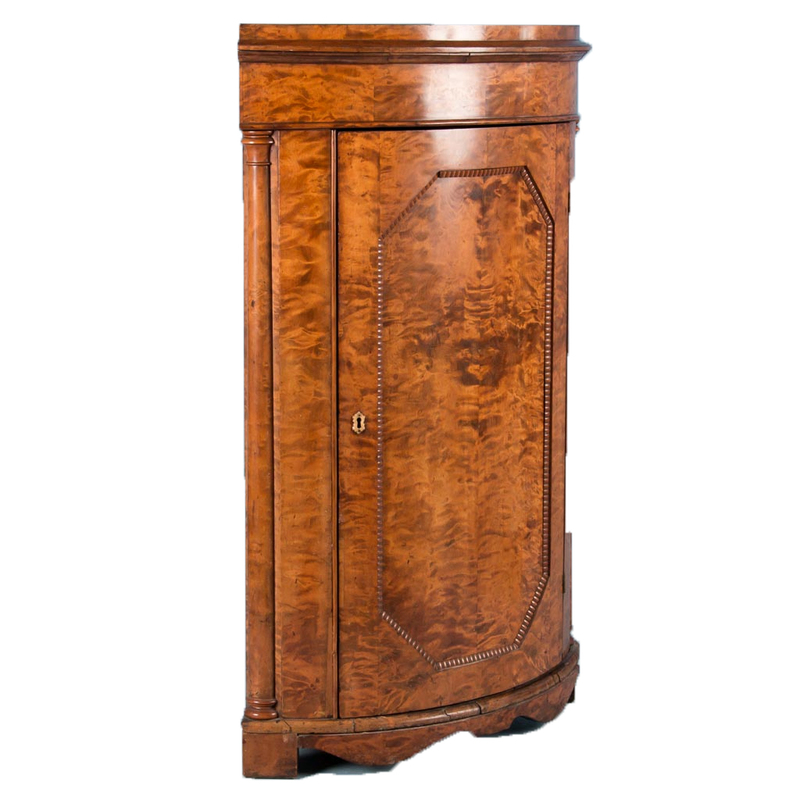 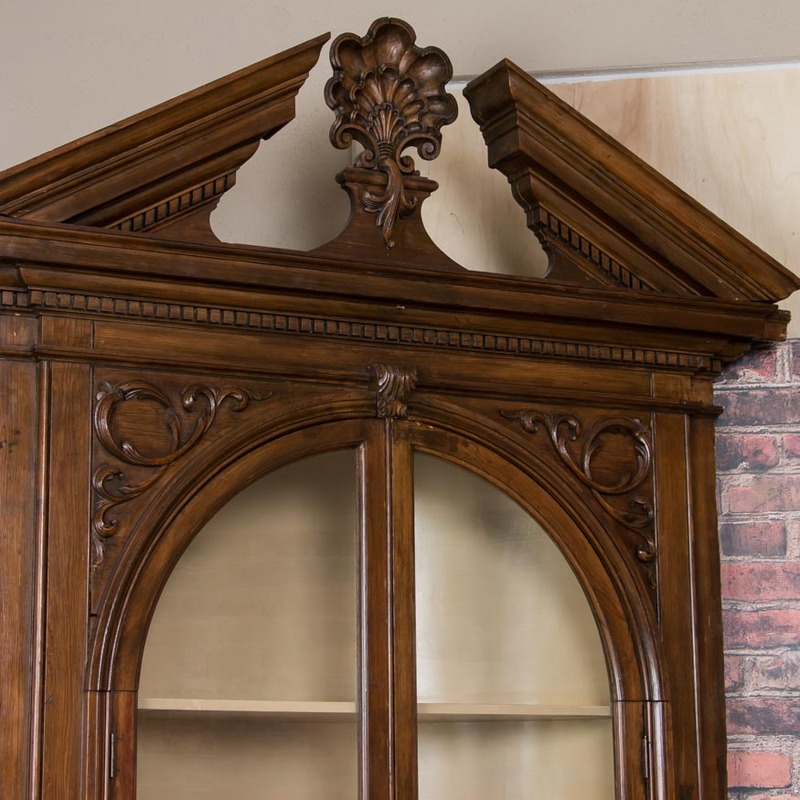 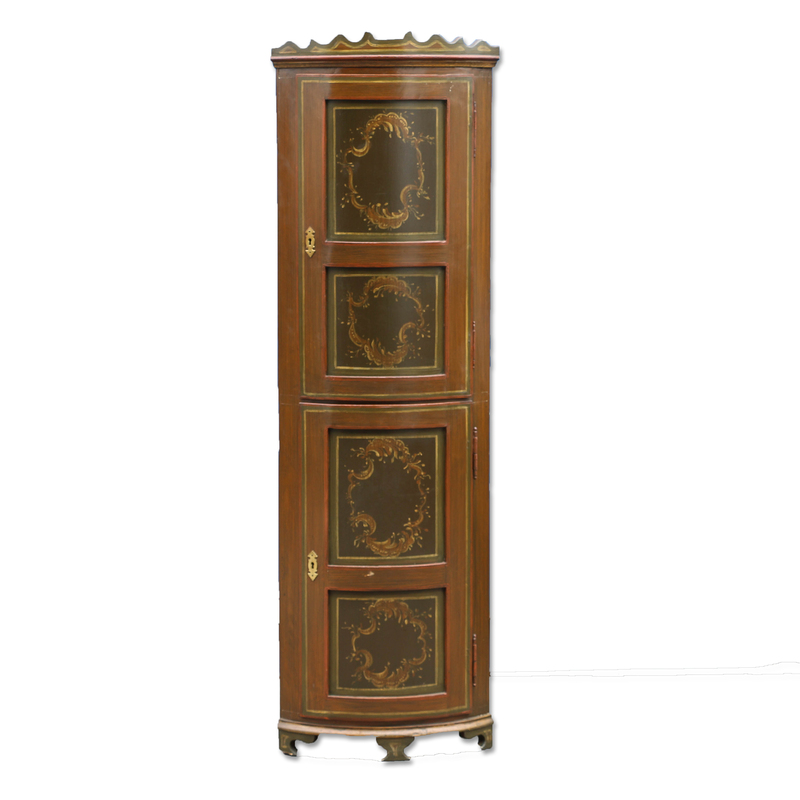 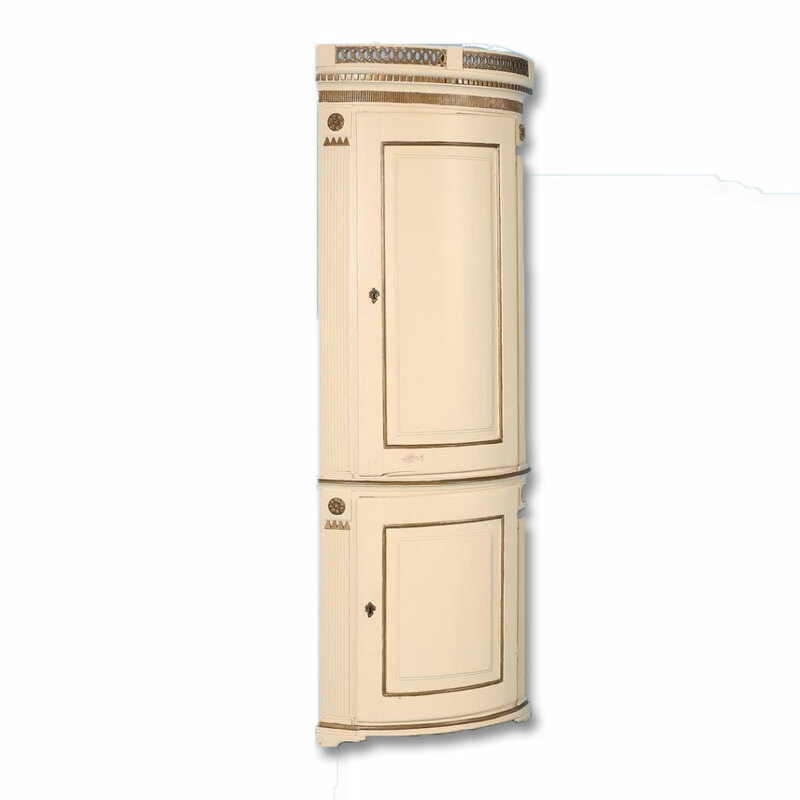 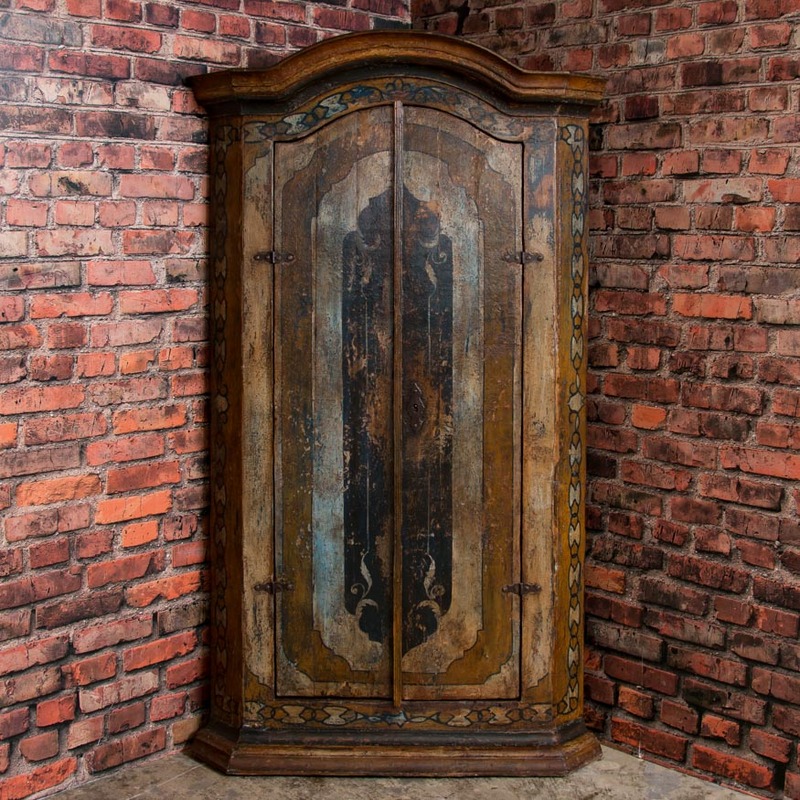 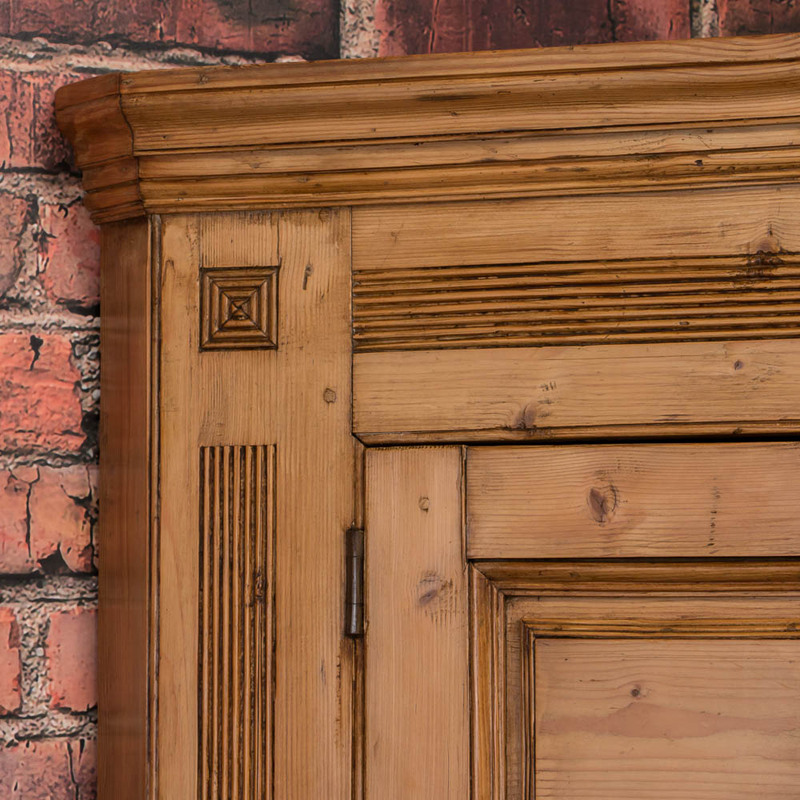 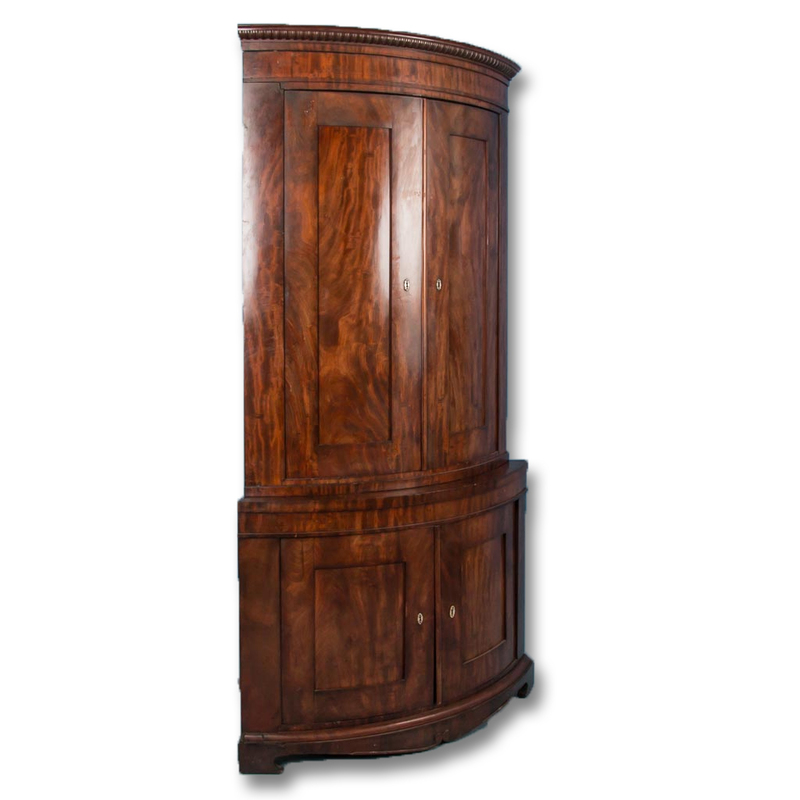 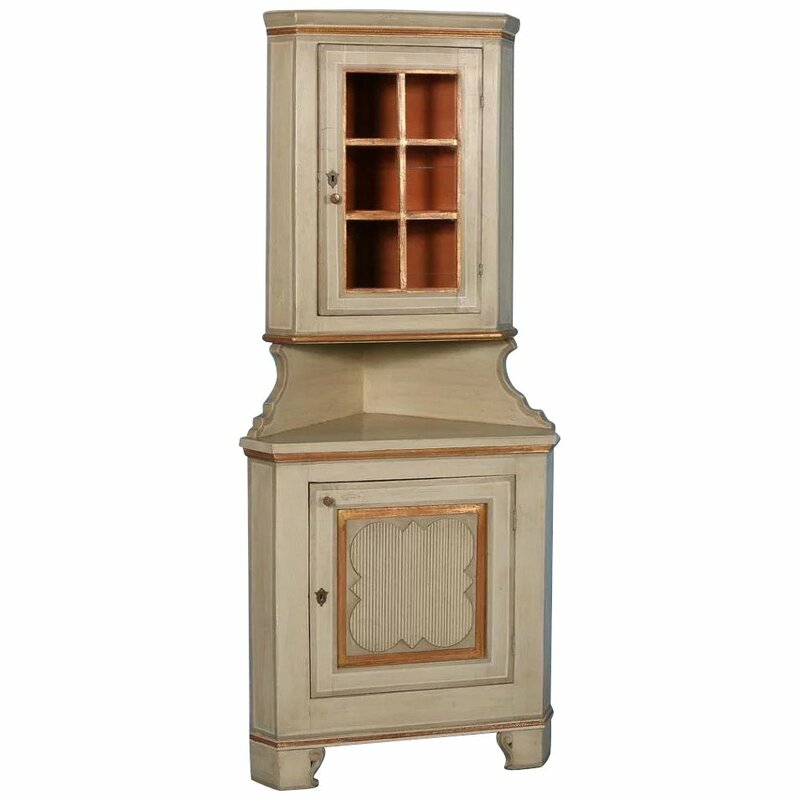 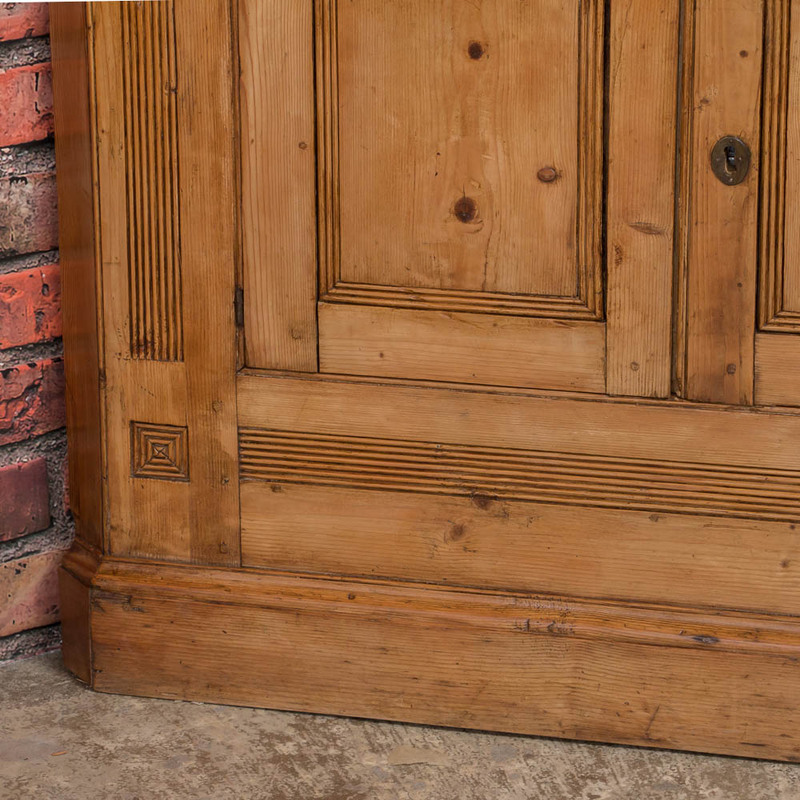 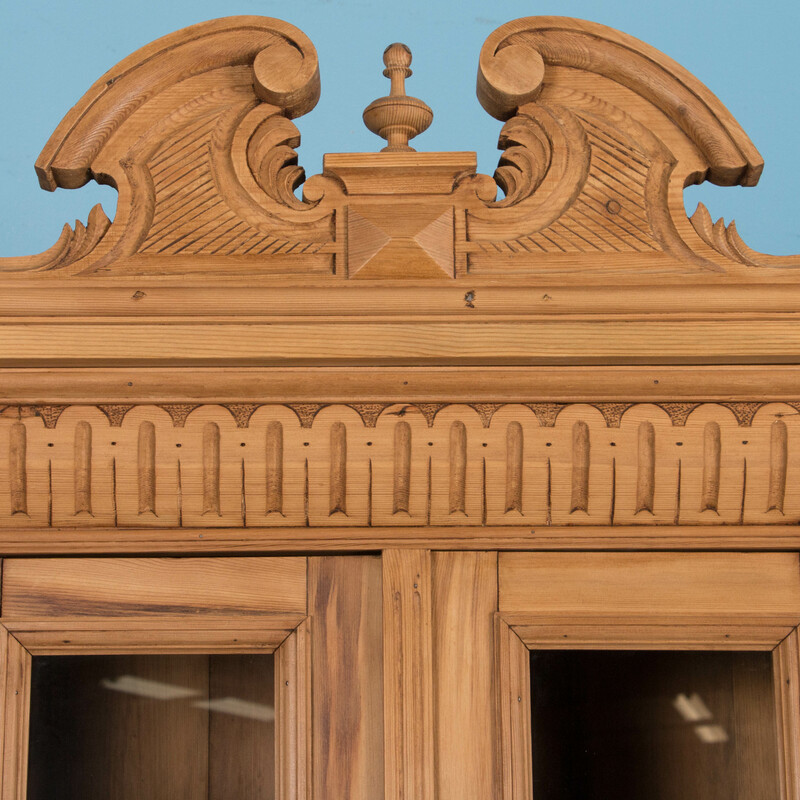 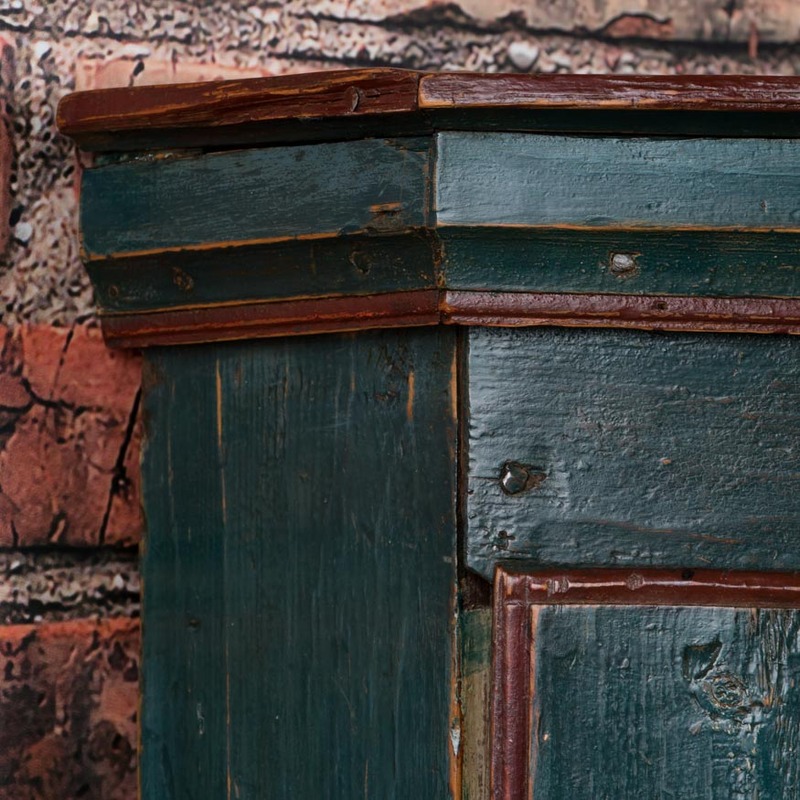 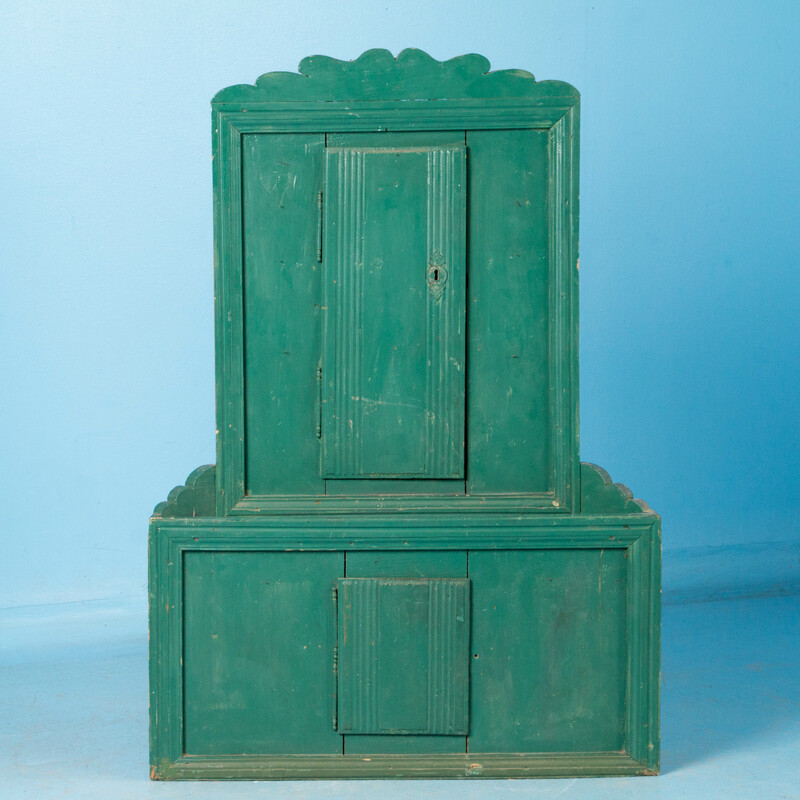 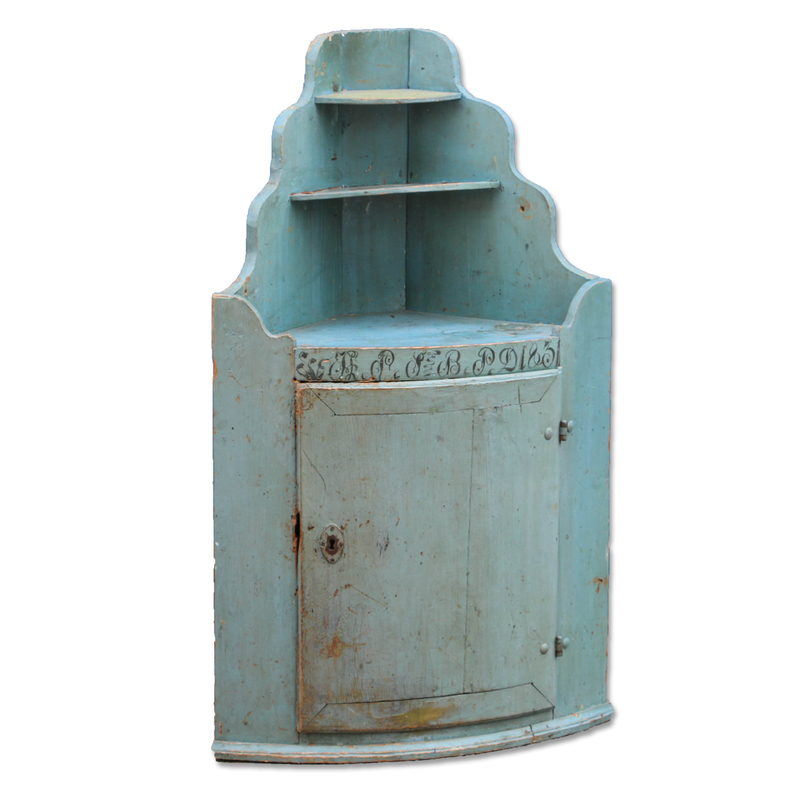 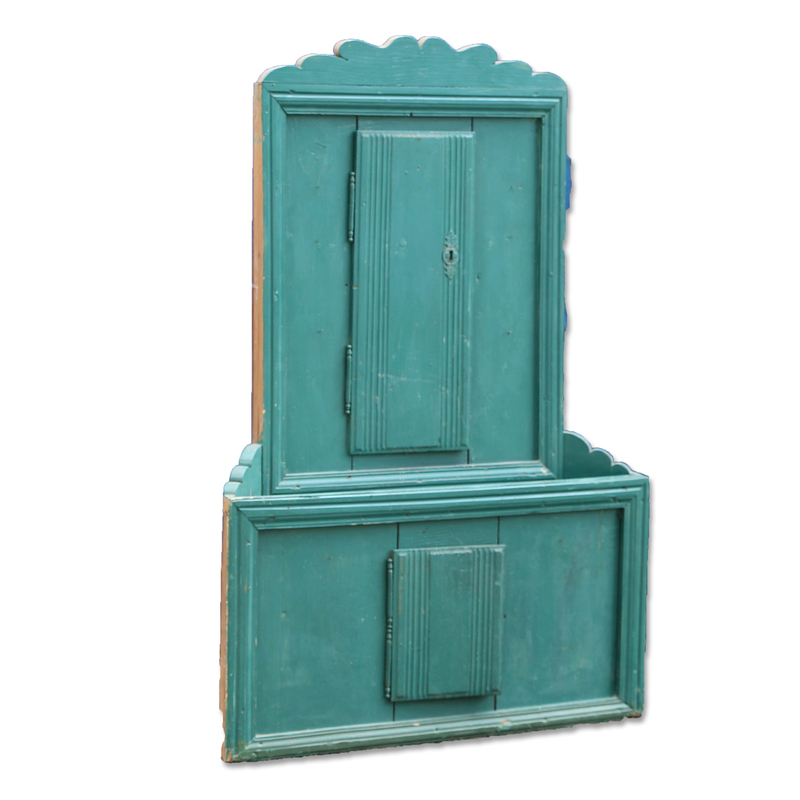 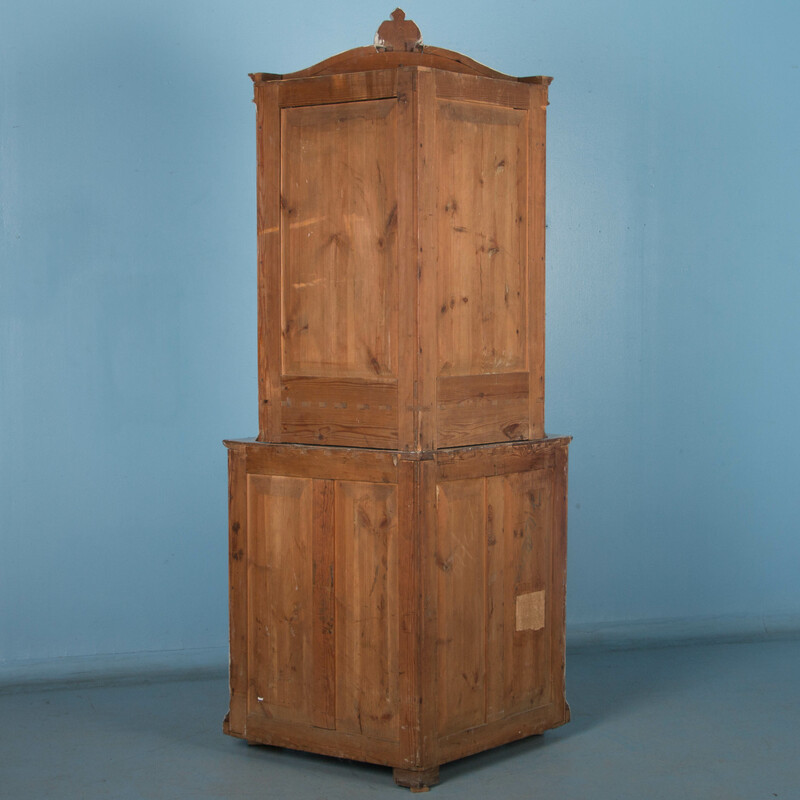 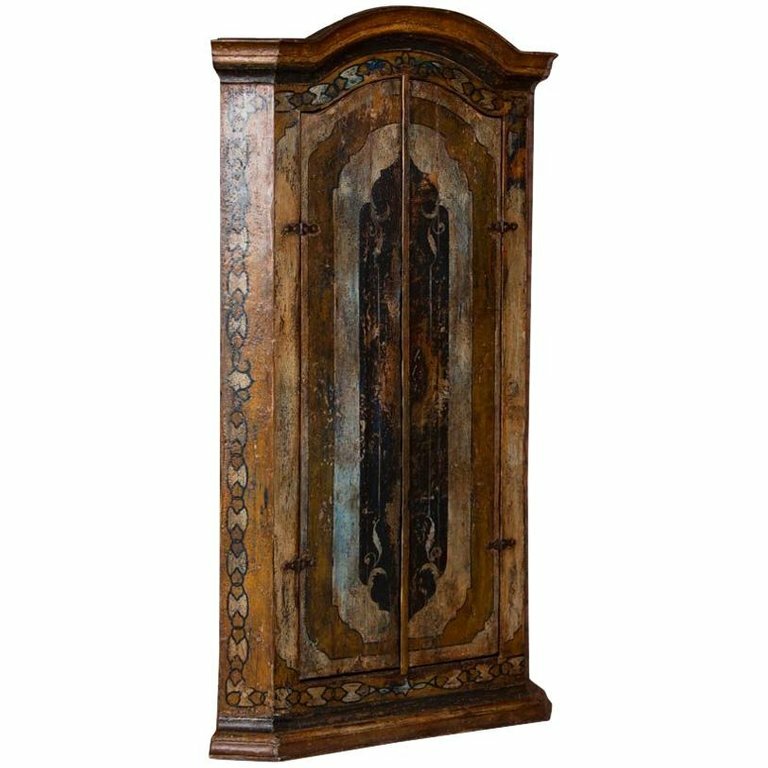 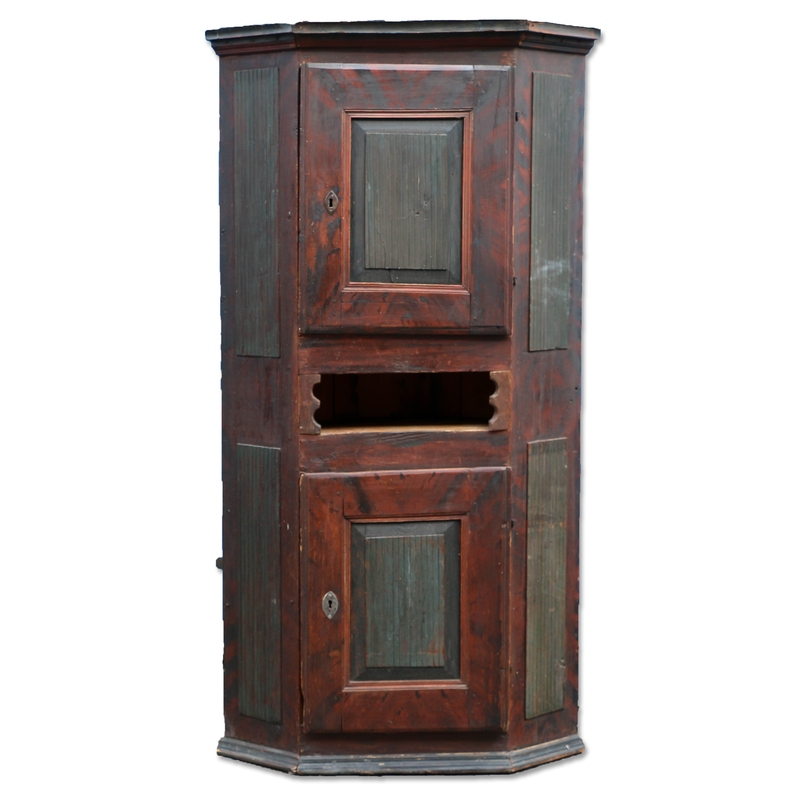 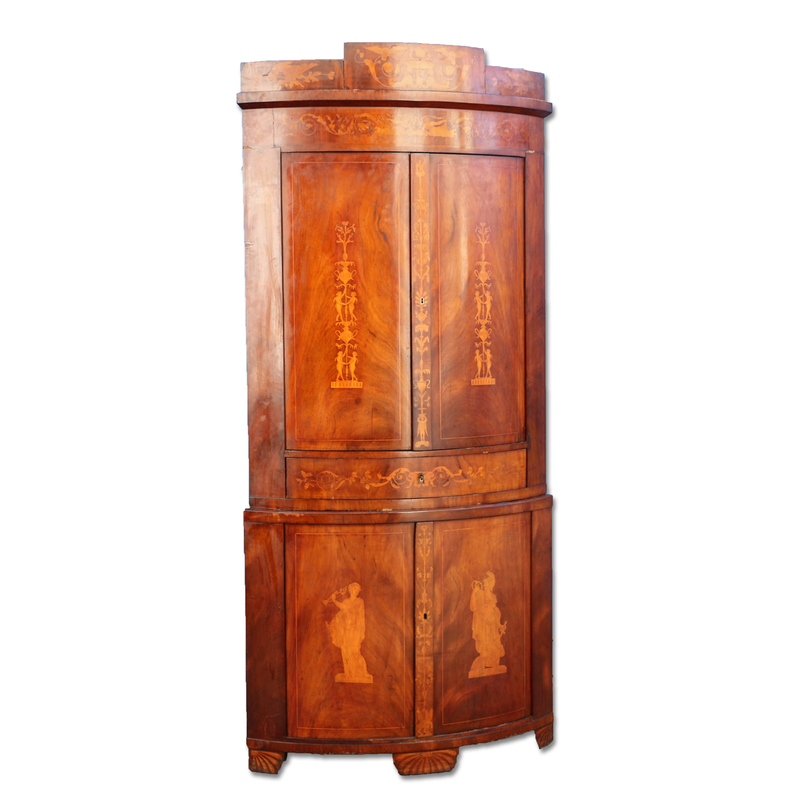 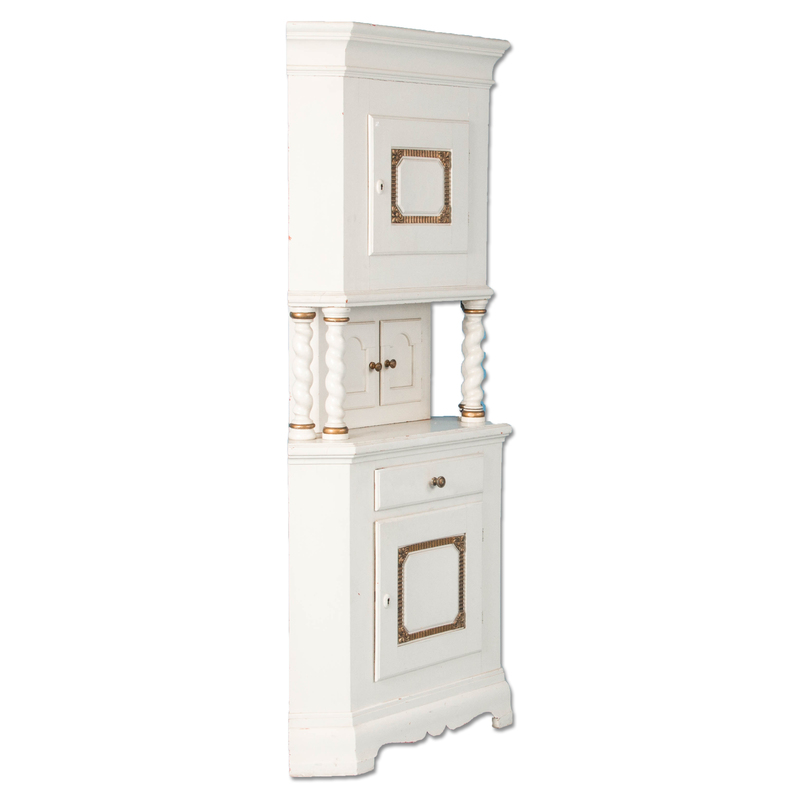 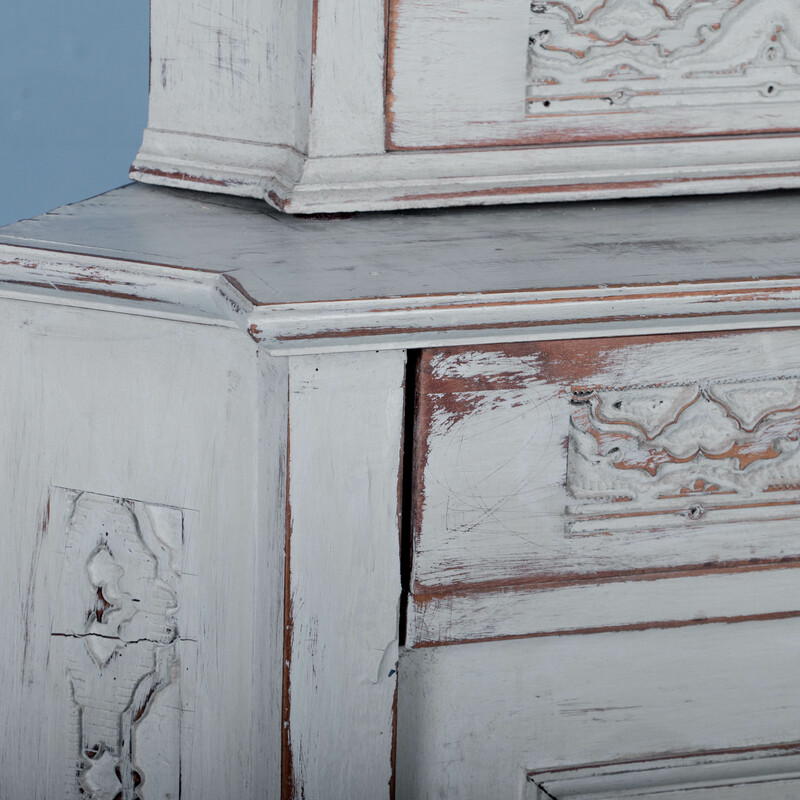 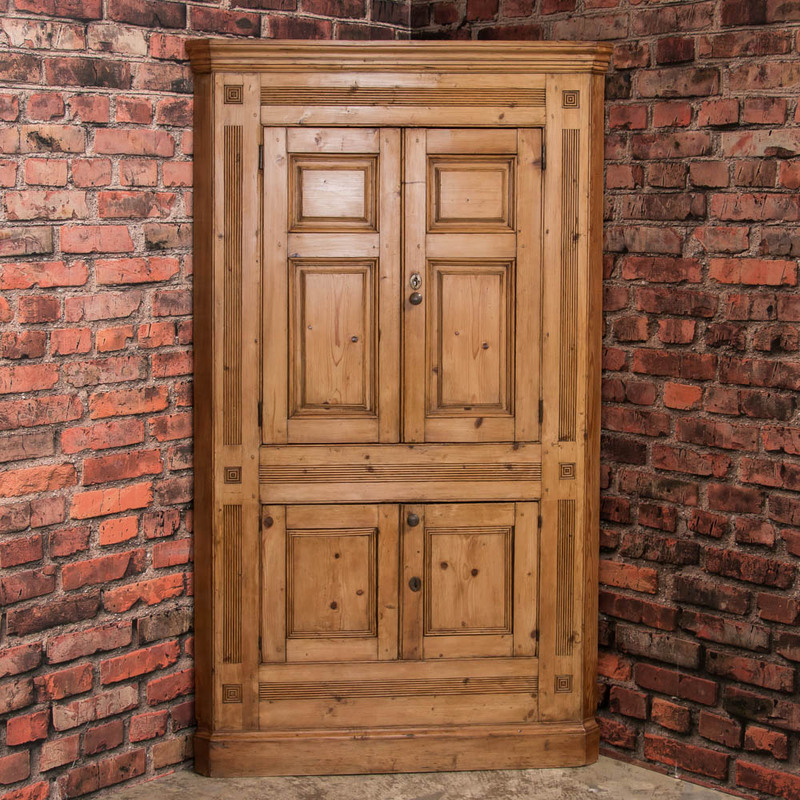 The convex cabinet is made in two sections with bombay doors, bracket feet and a small scrolled pediment. 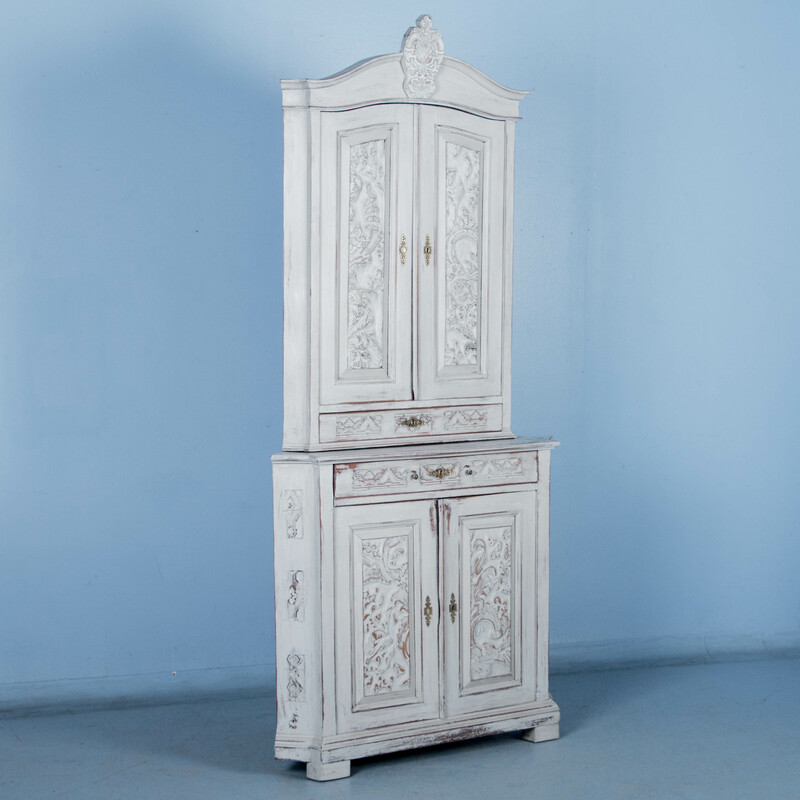 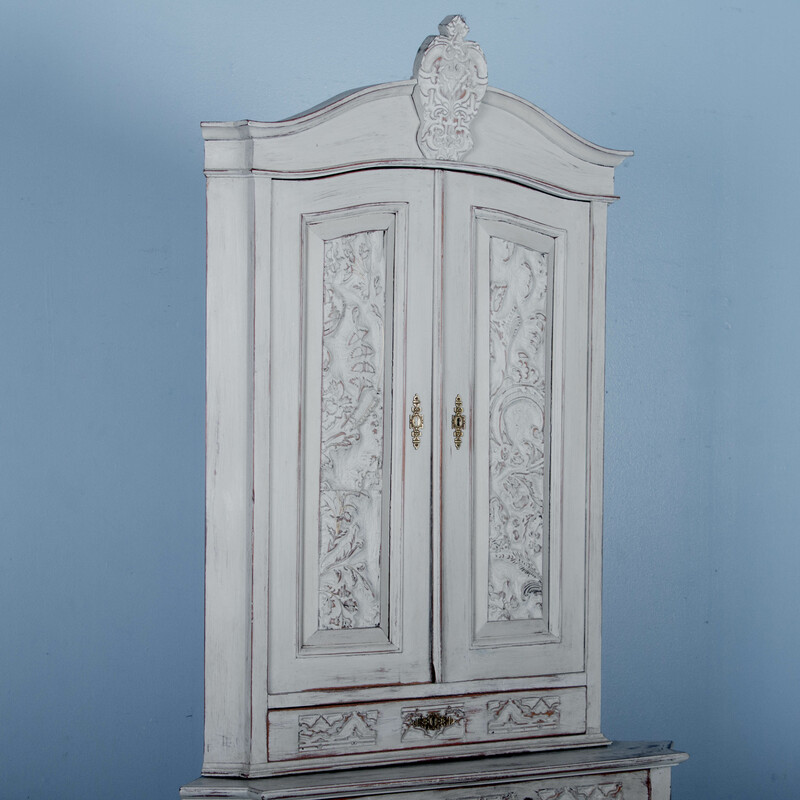 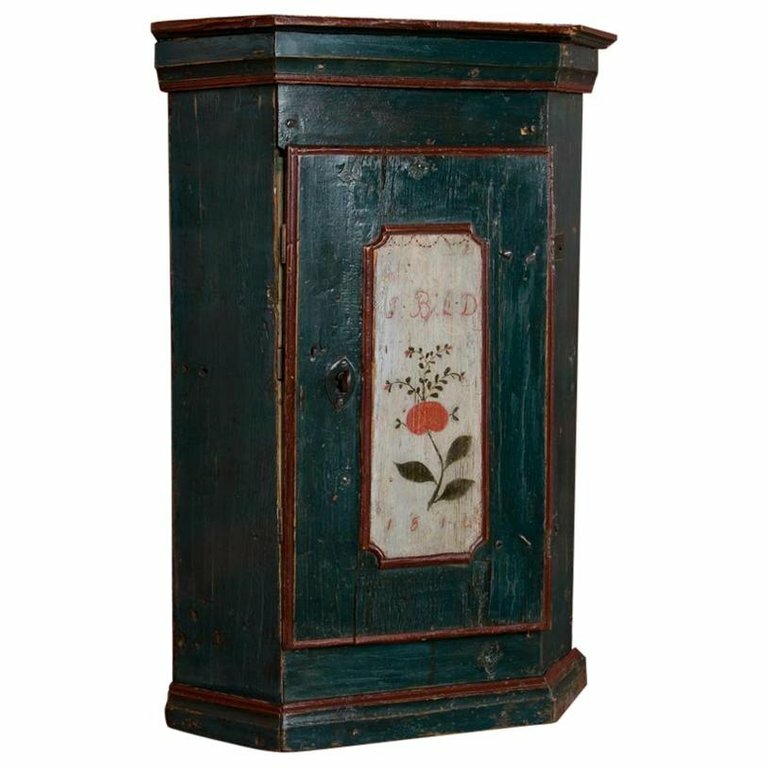 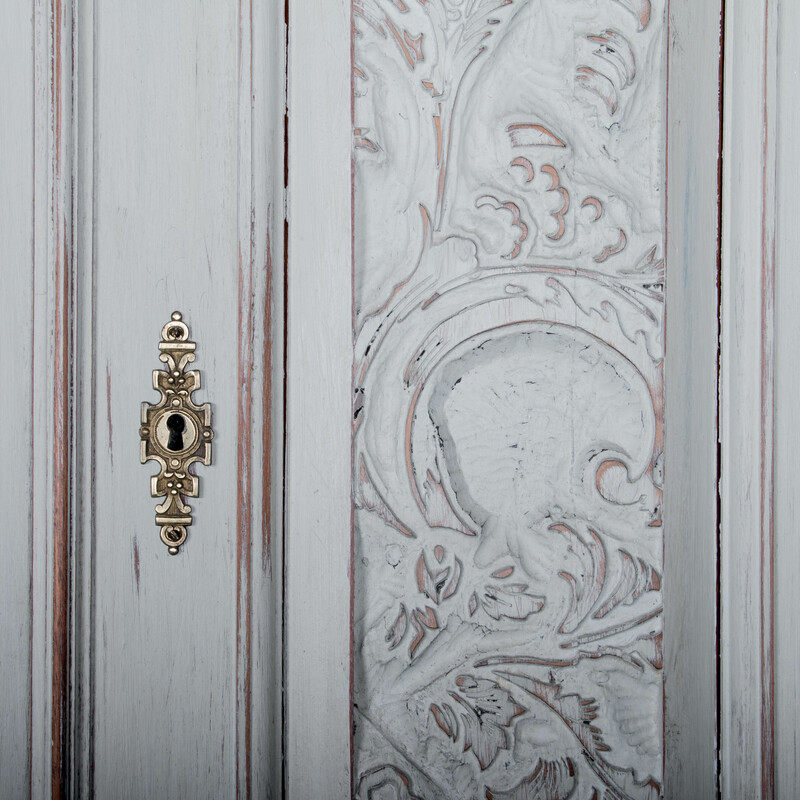 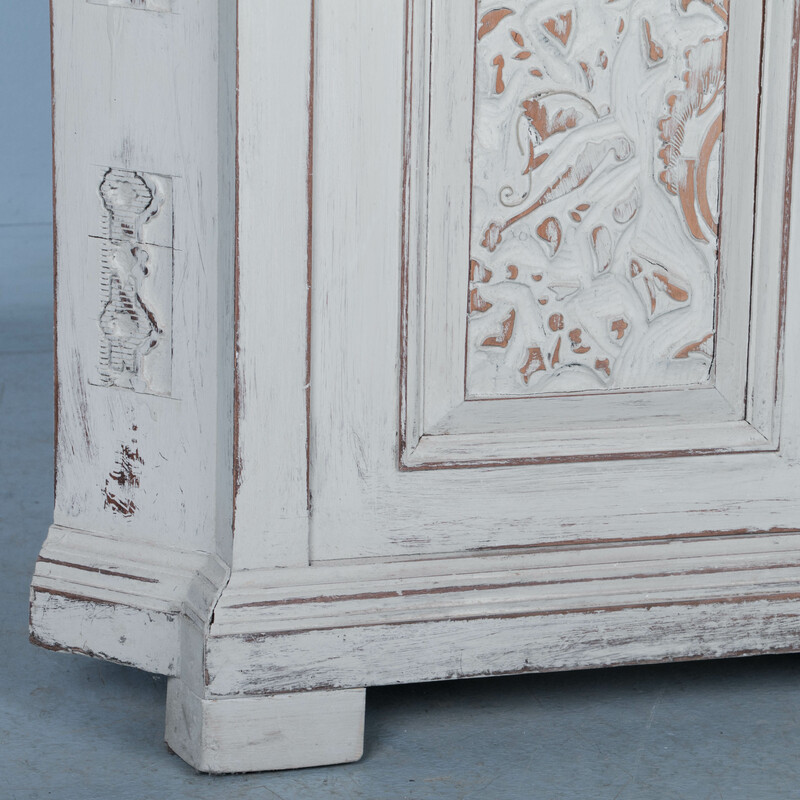 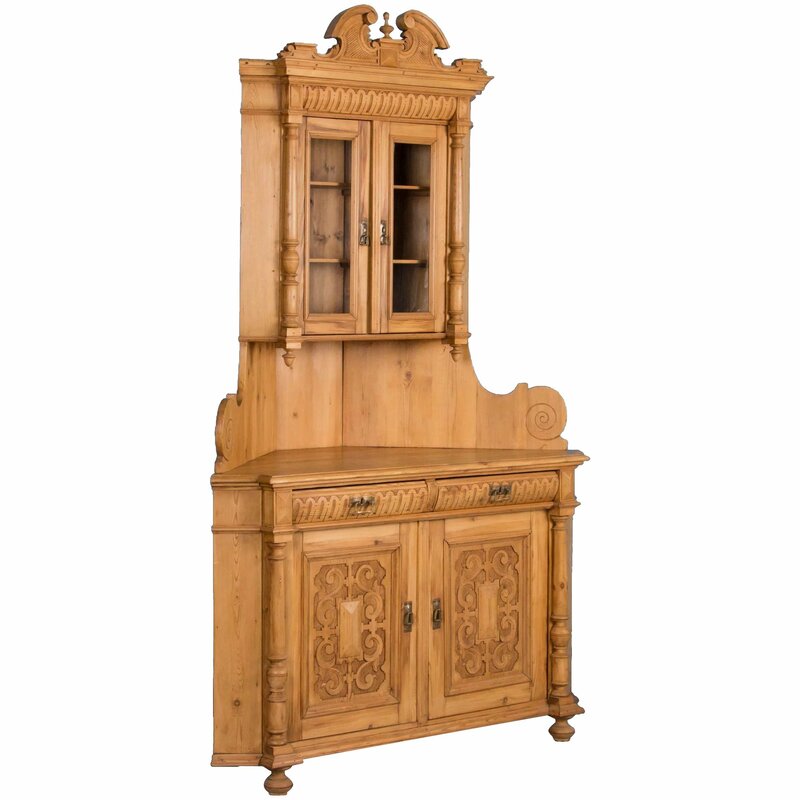 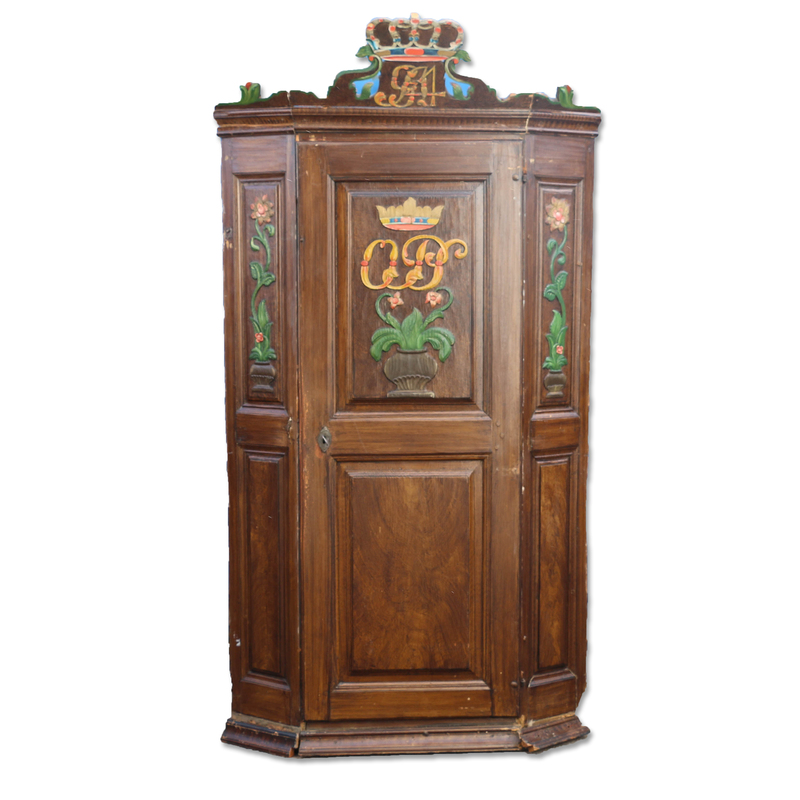 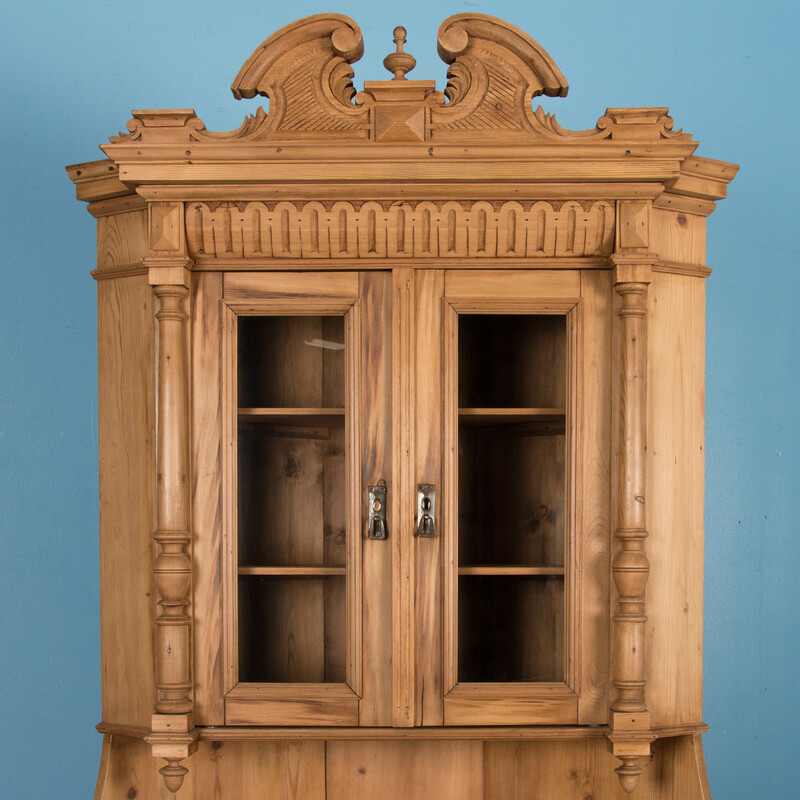 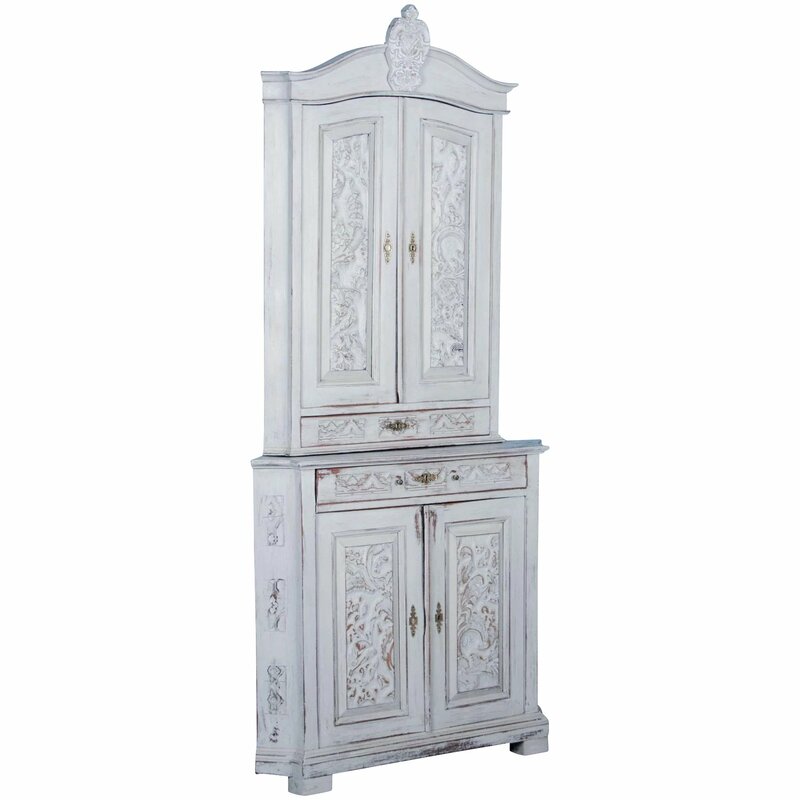 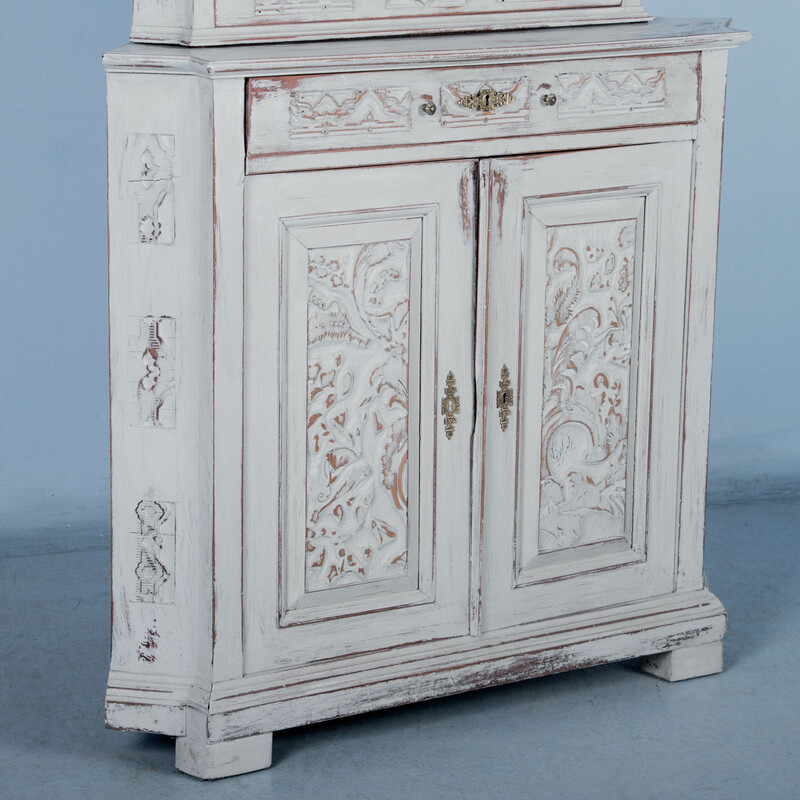 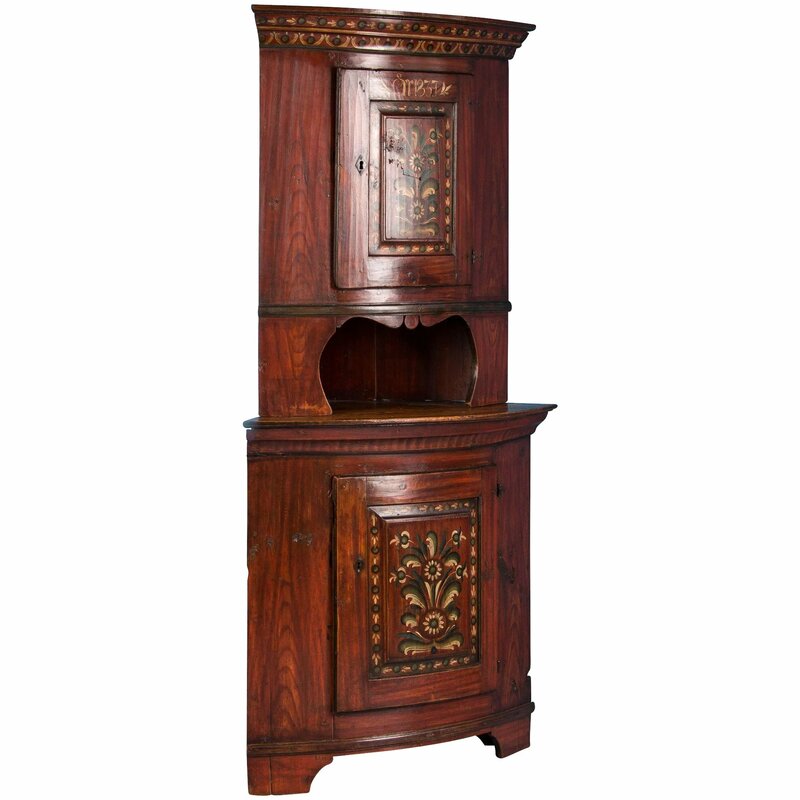 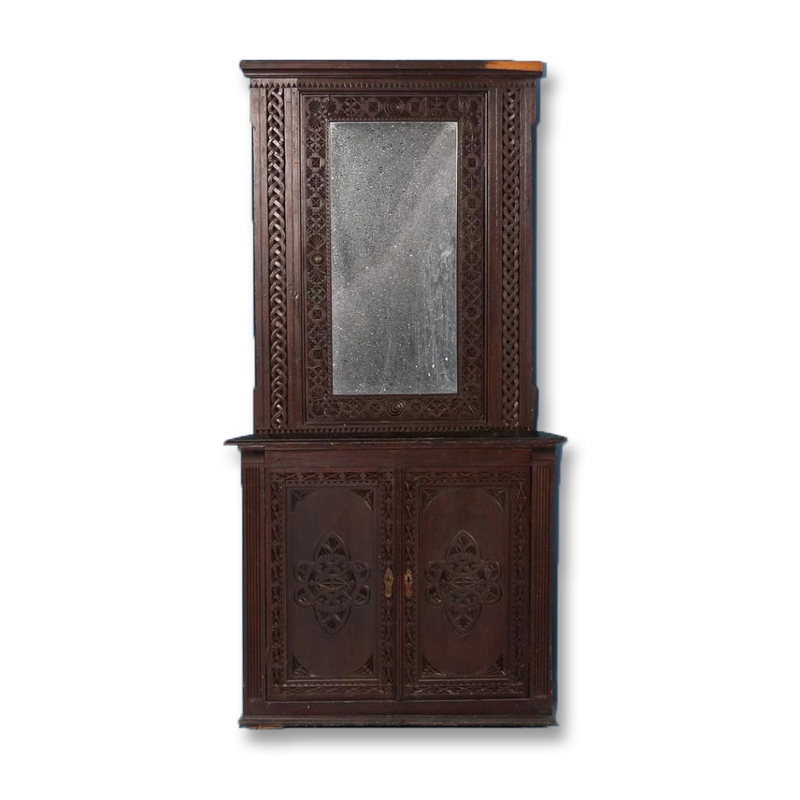 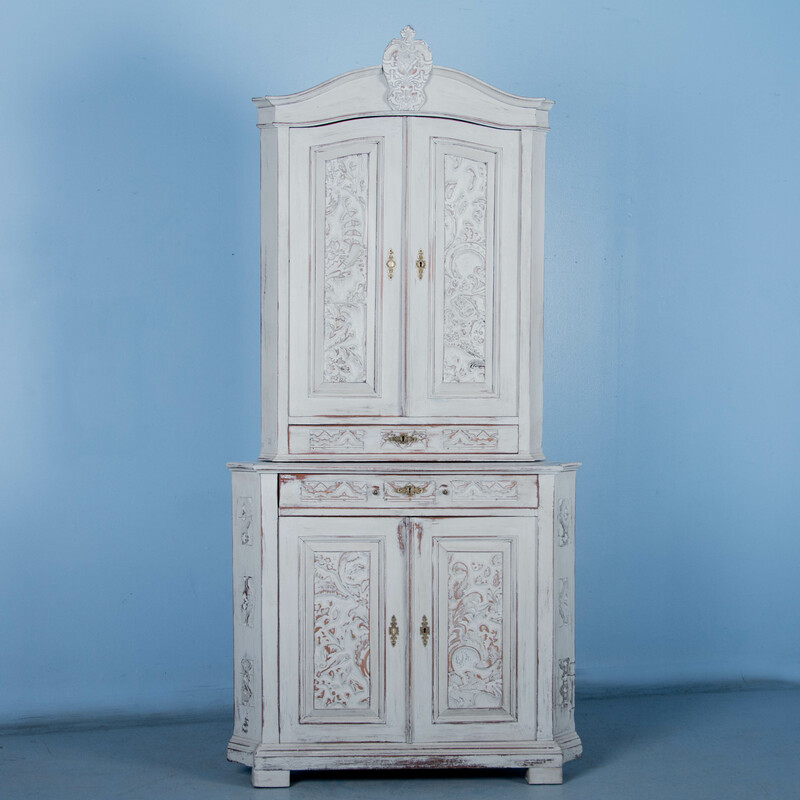 This bow front corner cabinet has lovely carved details along the crown and decorative medallion accents as well. 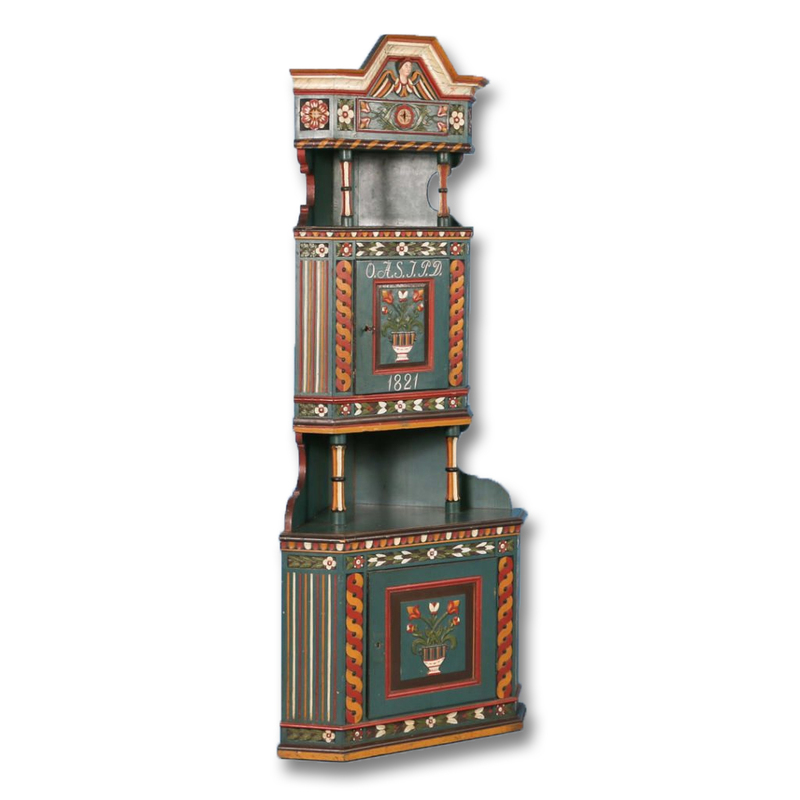 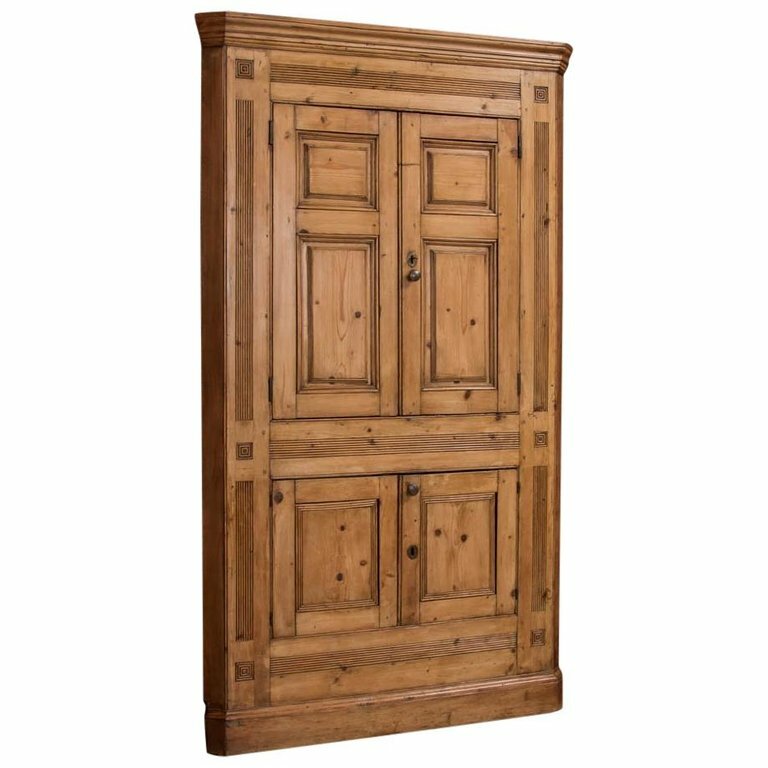 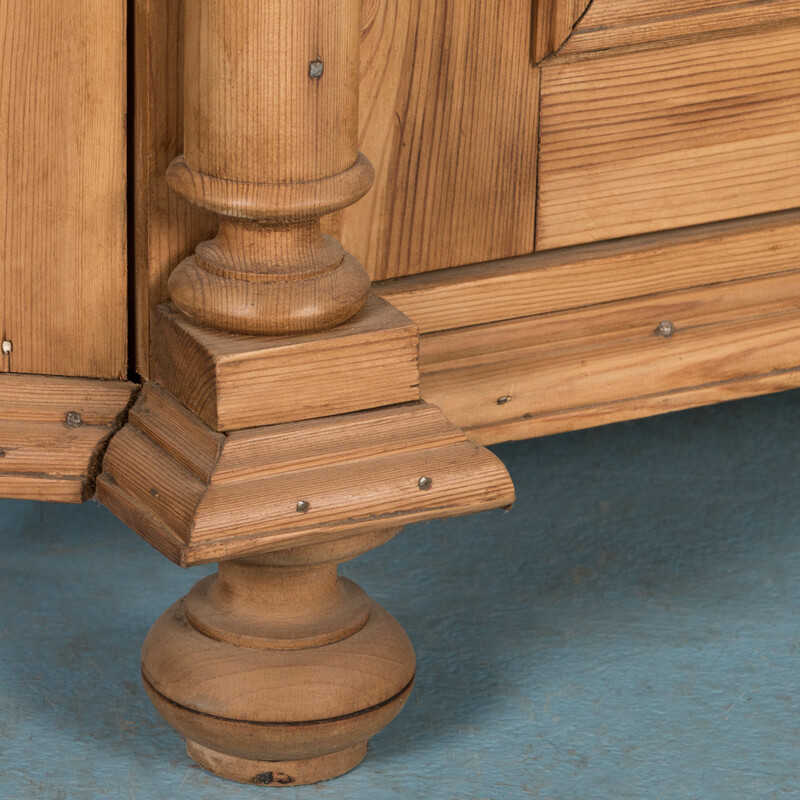 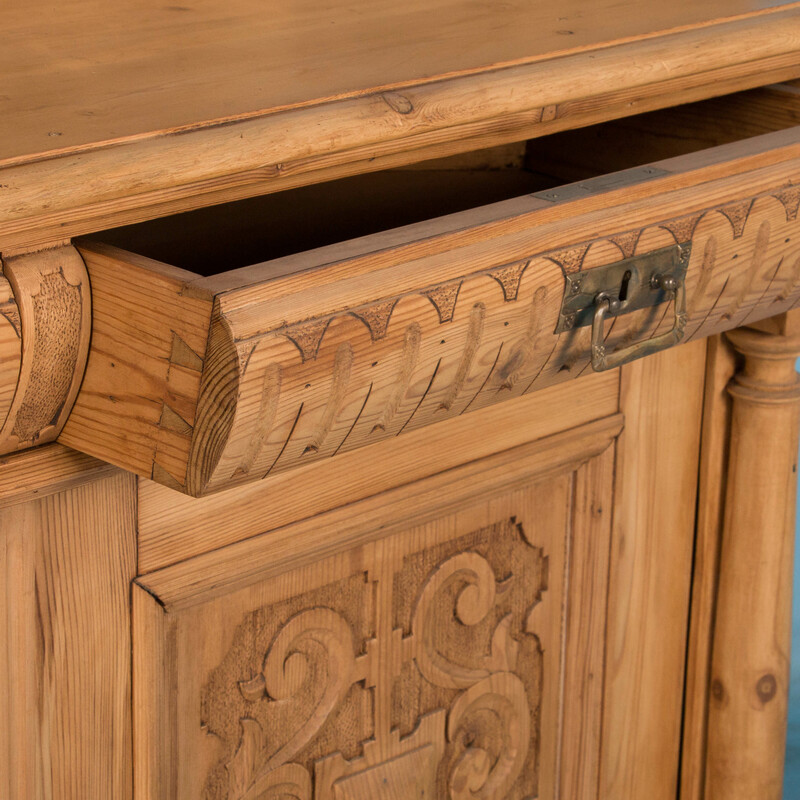 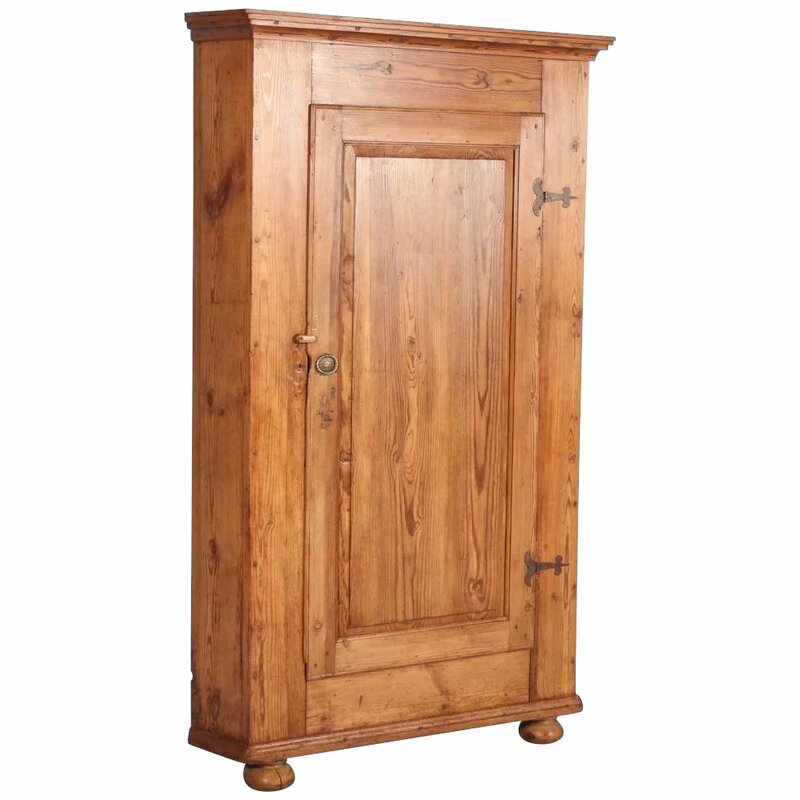 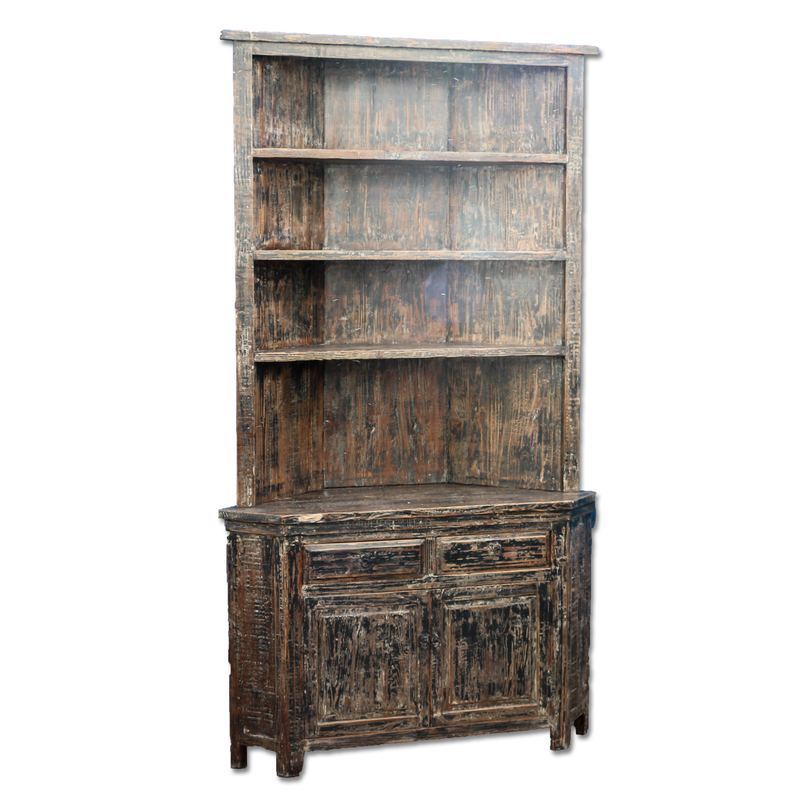 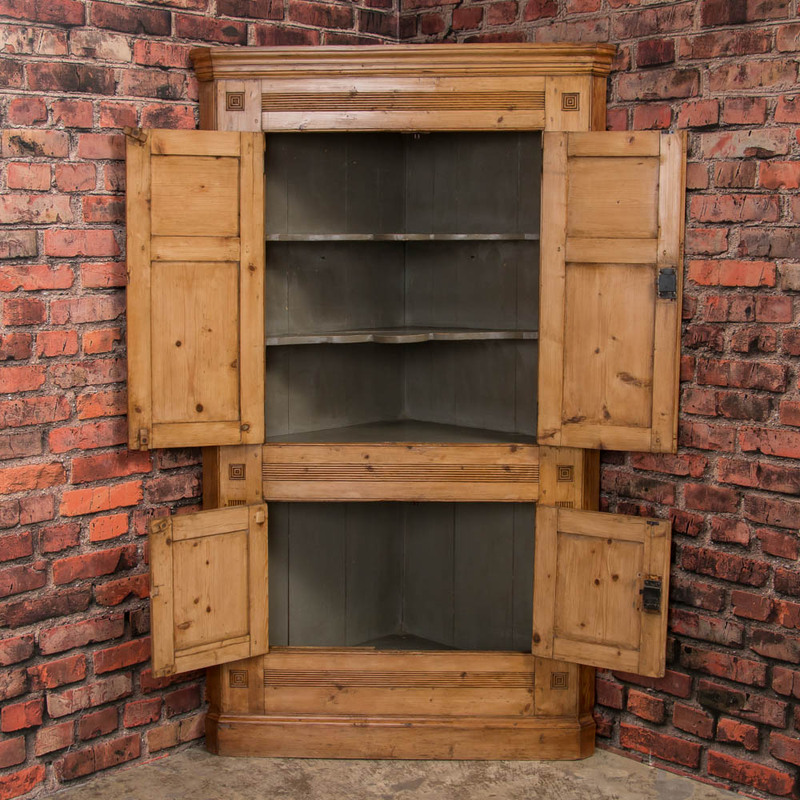 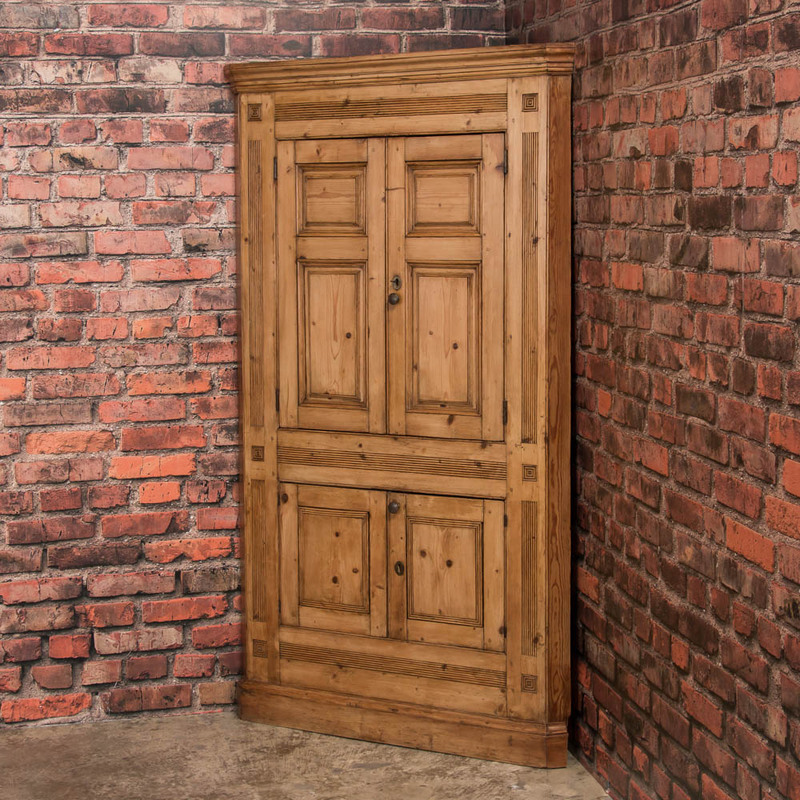 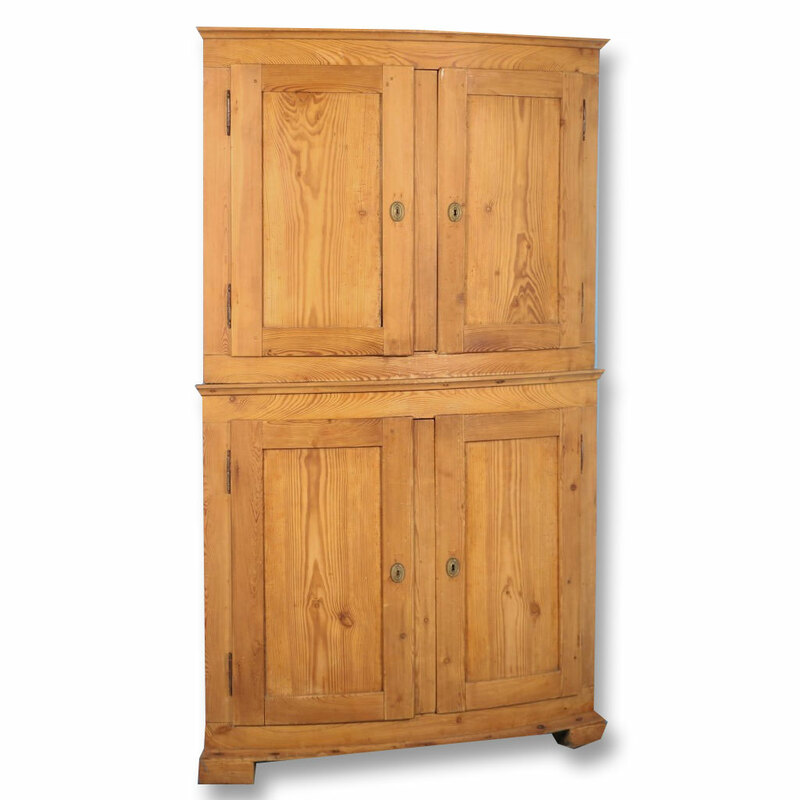 Made in three sections with a single drawer and three cupboards supported by barley twist columns. 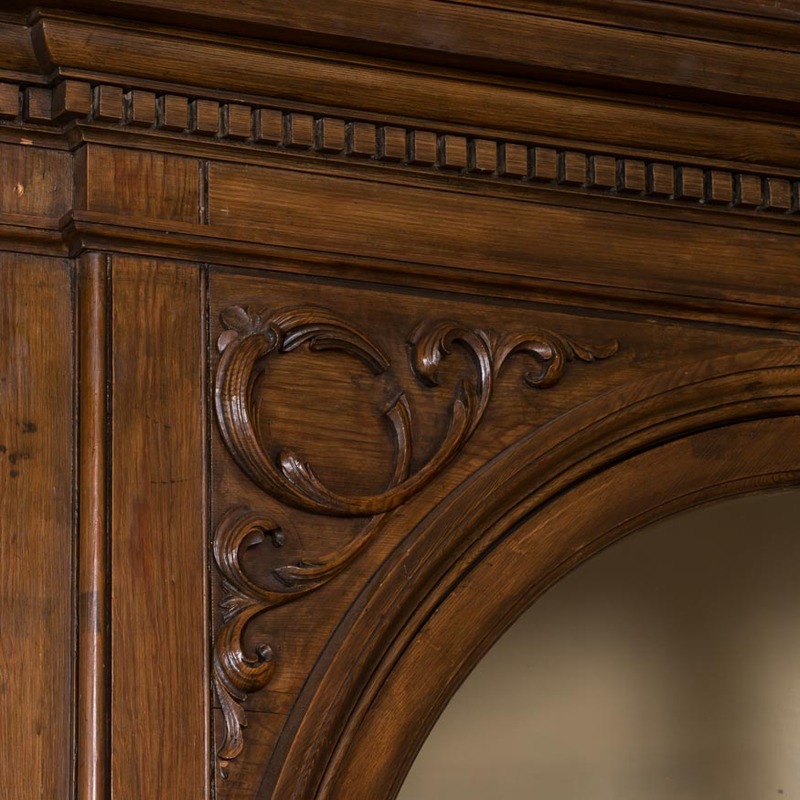 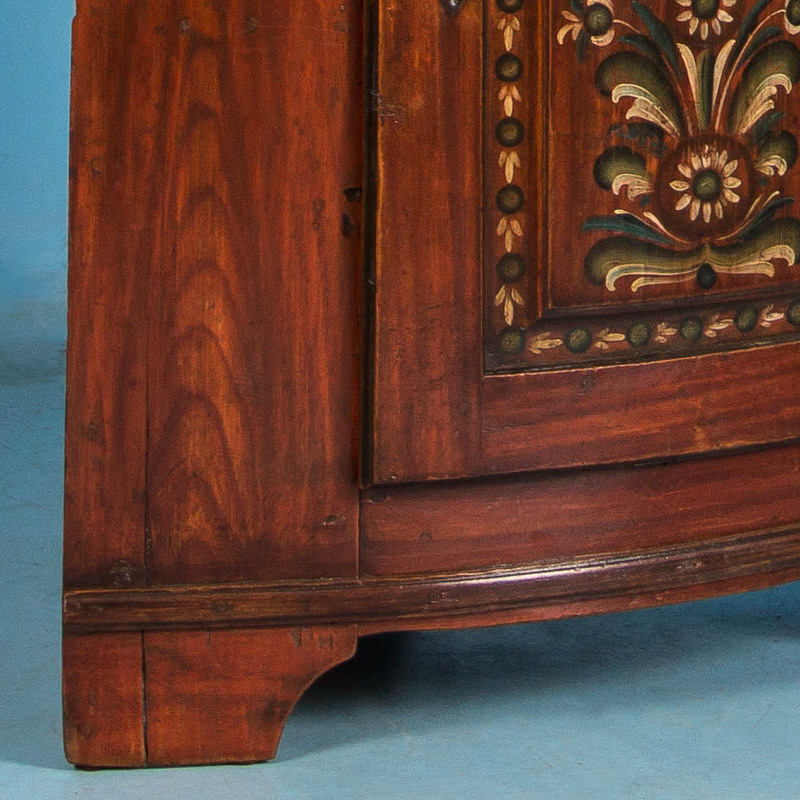 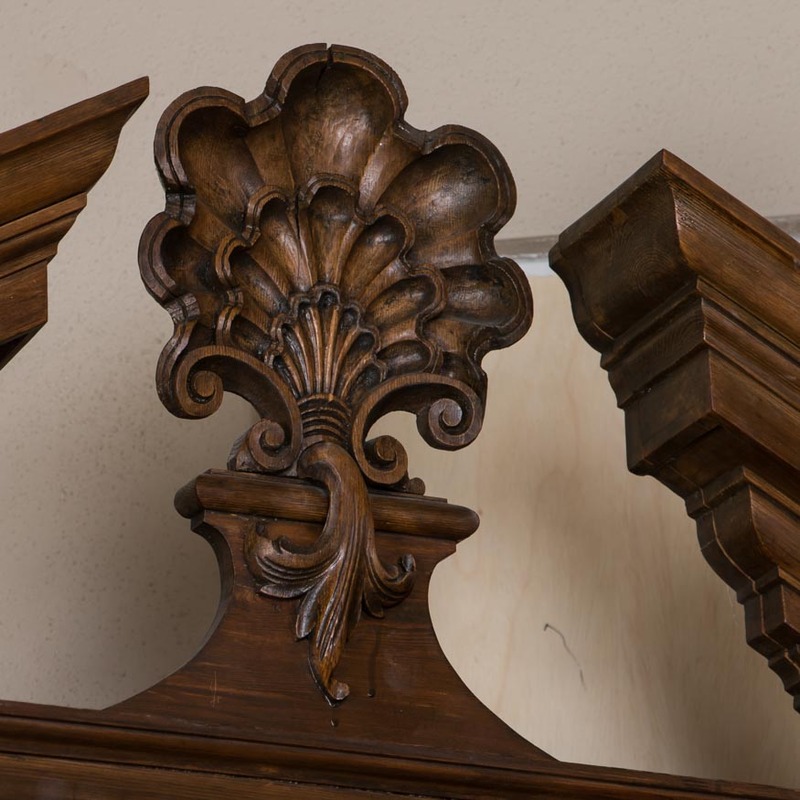 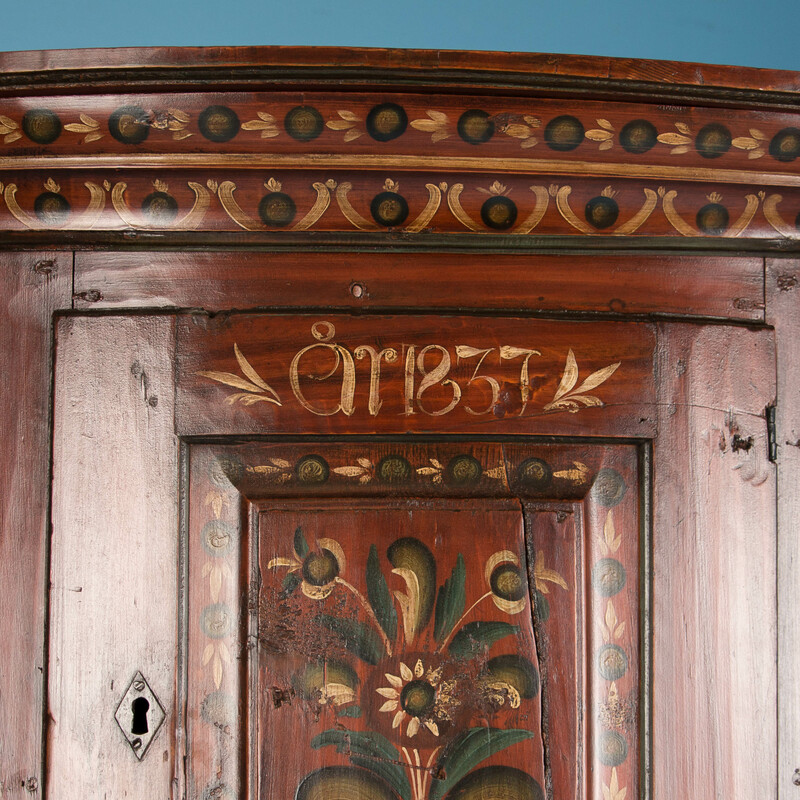 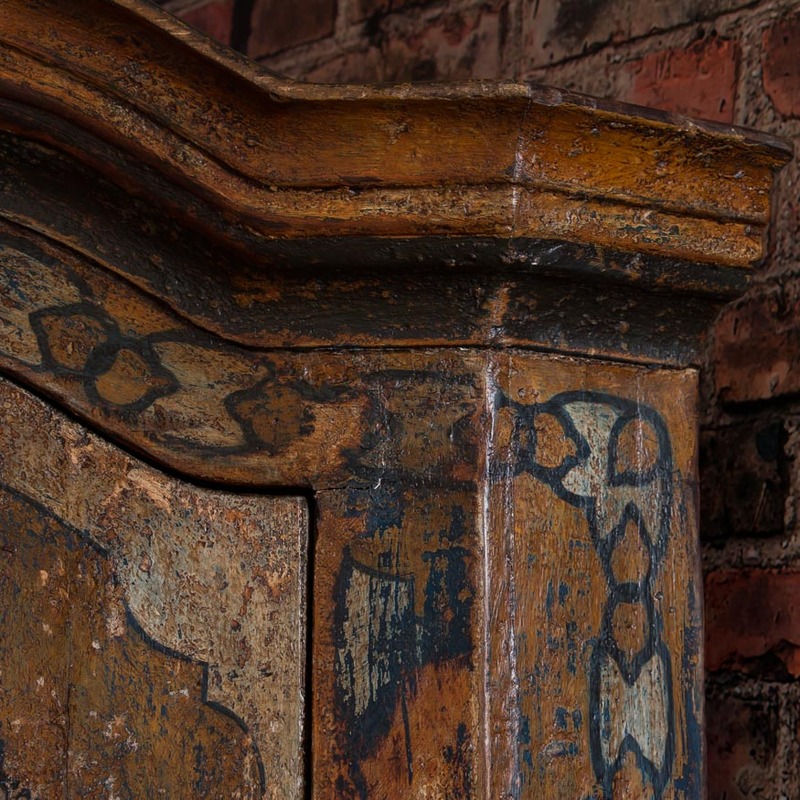 Note the graceful carved details in each panel, including the canted sides of this corner piece. 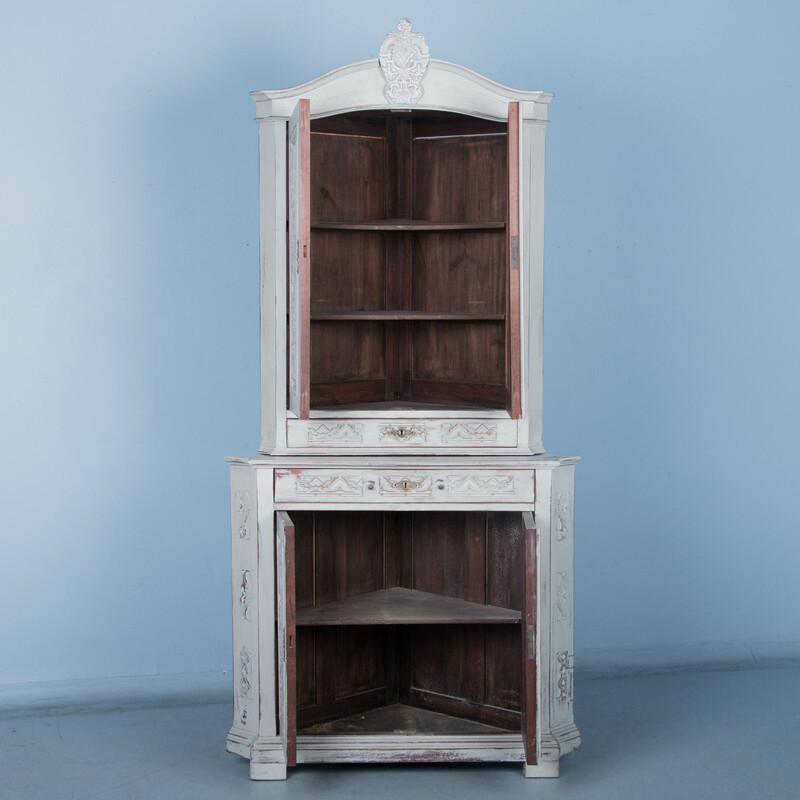 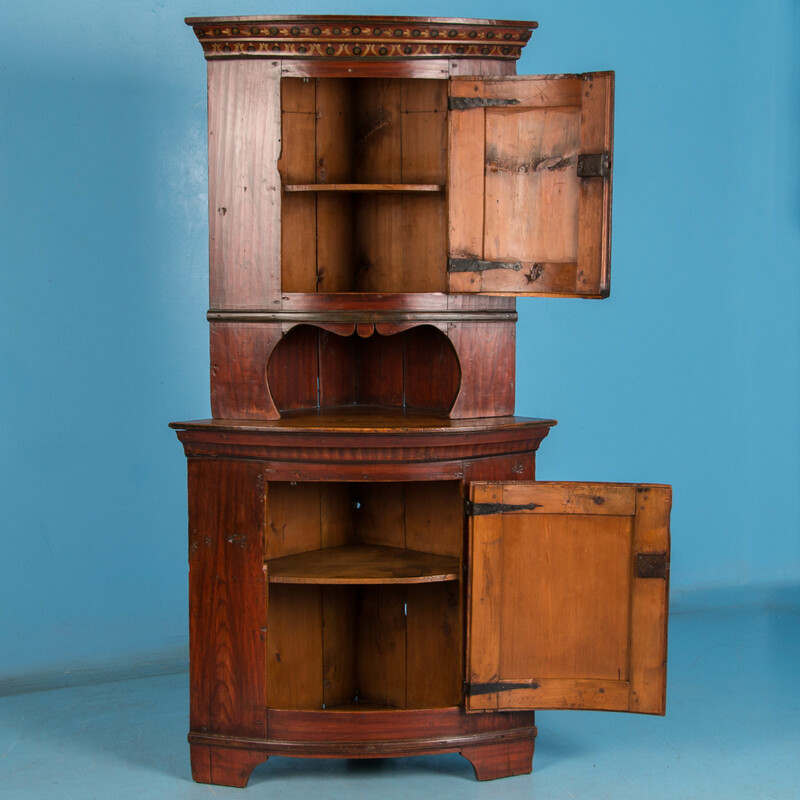 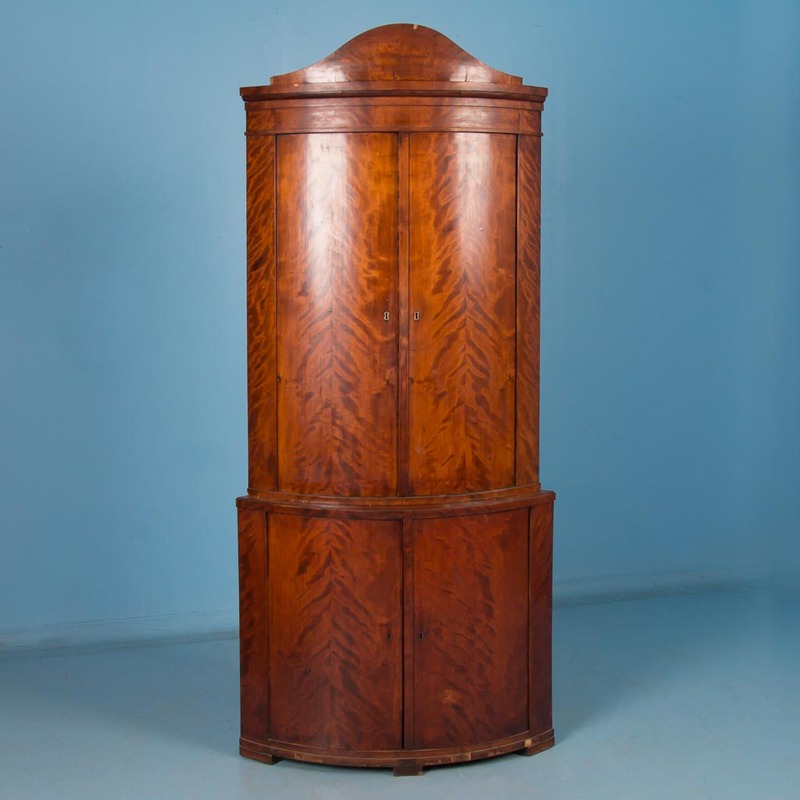 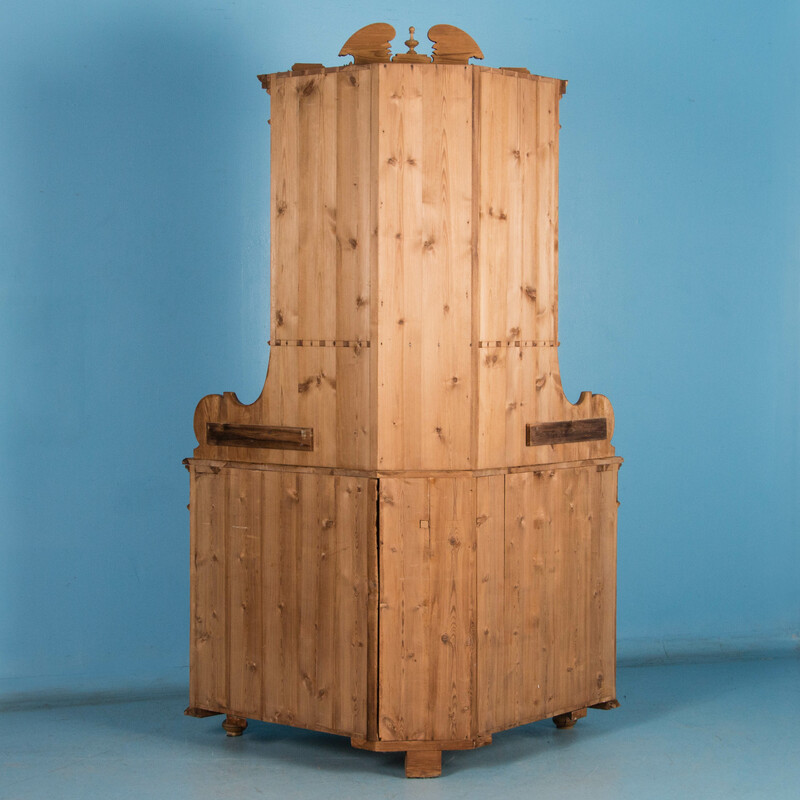 Antique corner cabinet from Sweden made in two parts, with book-matched flame birch on both the upper and lower doors. 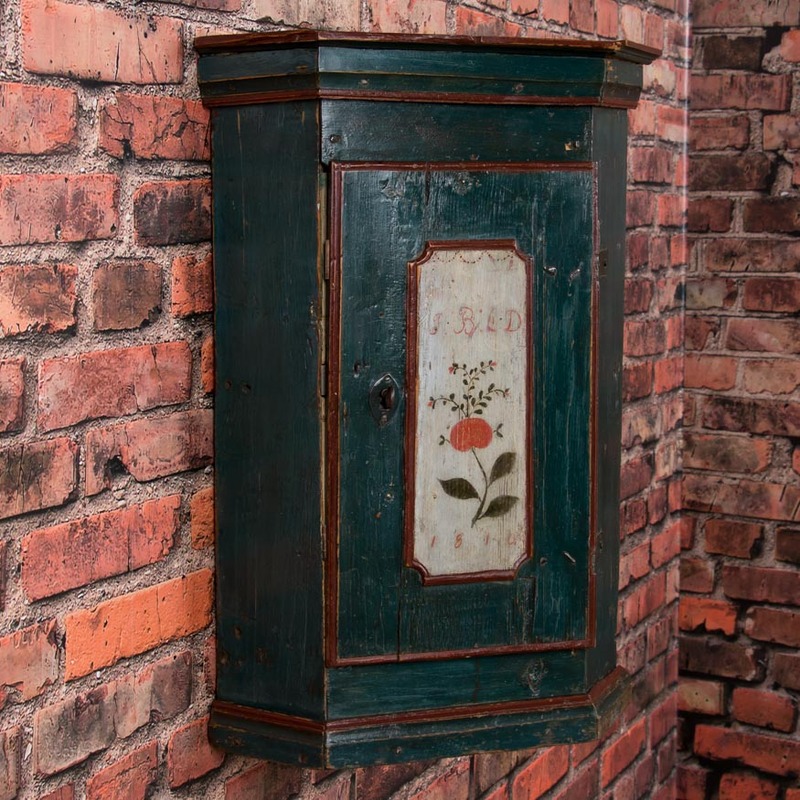 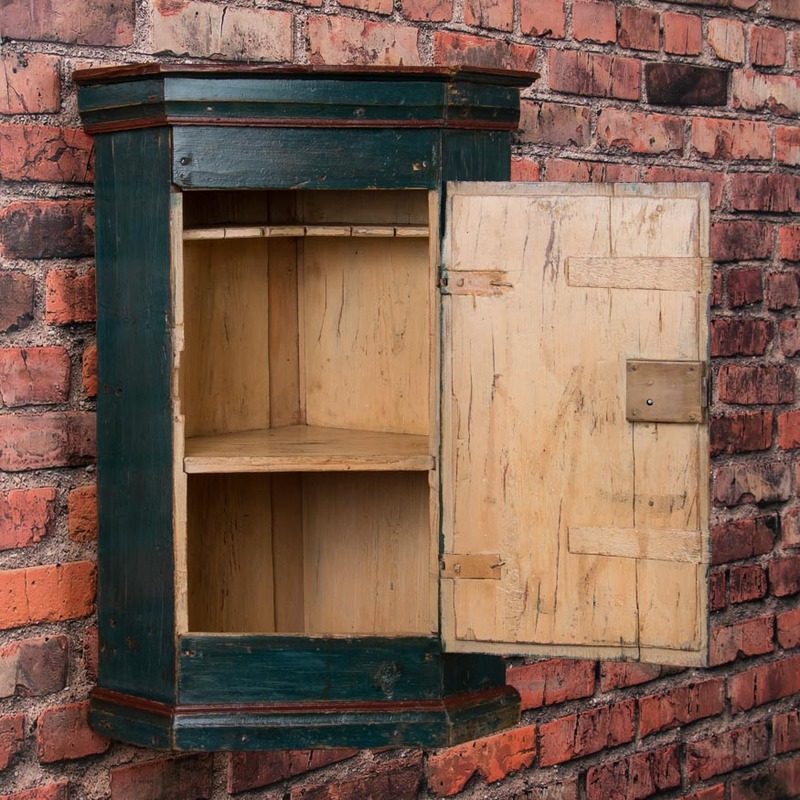 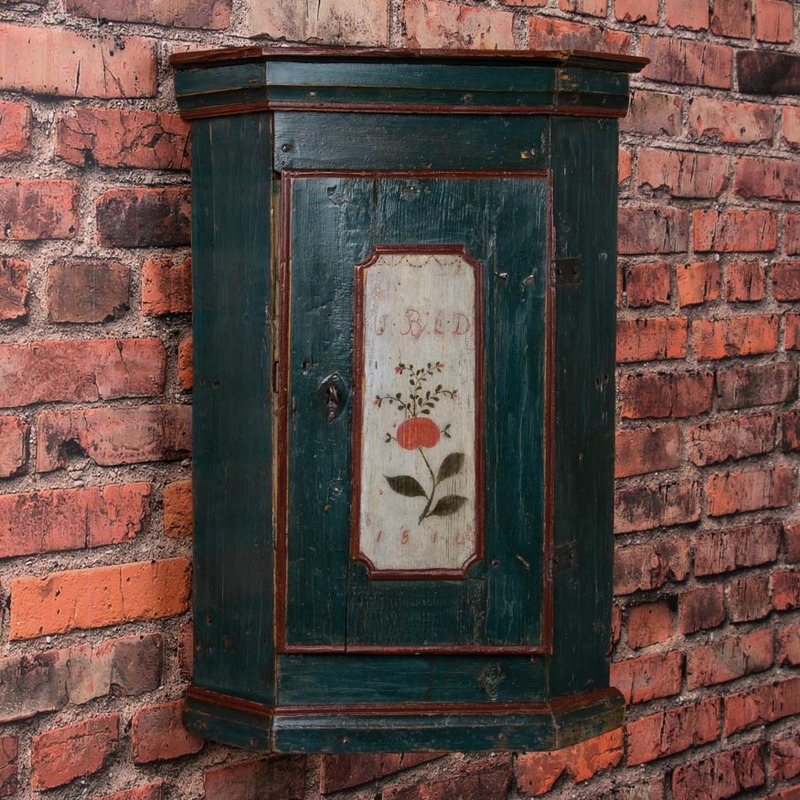 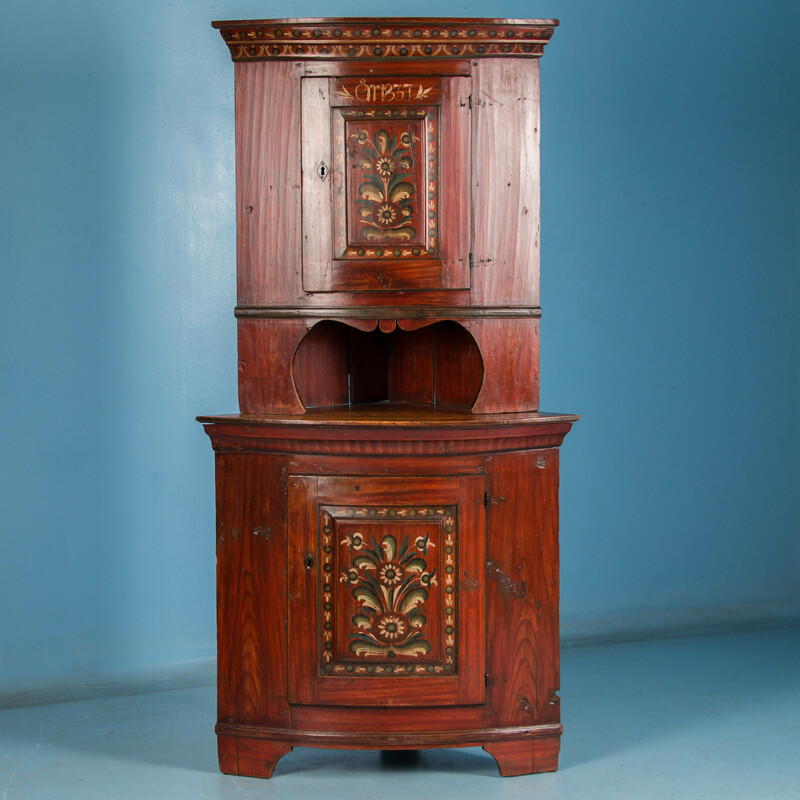 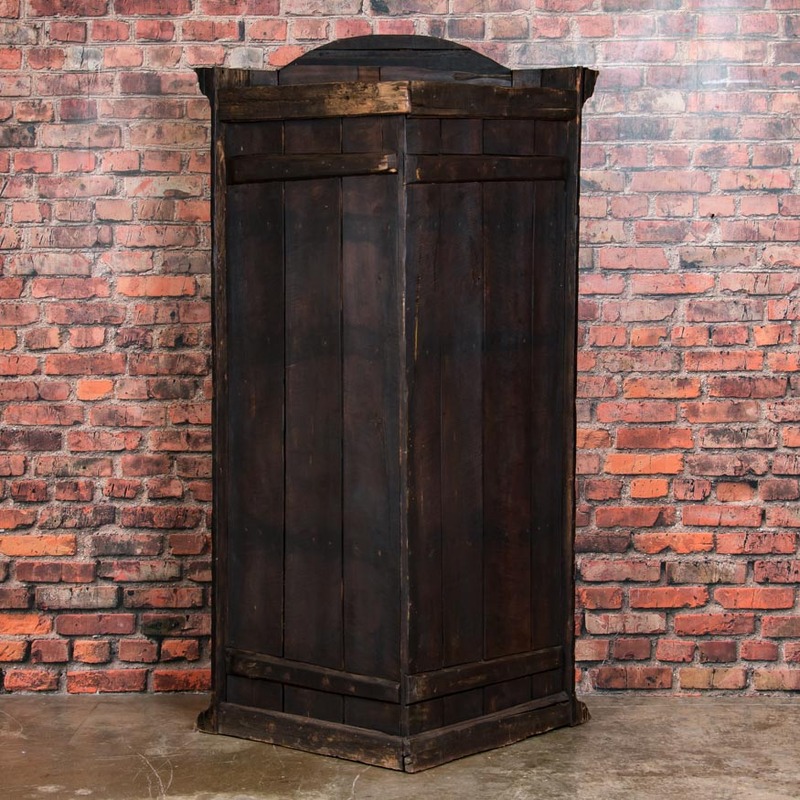 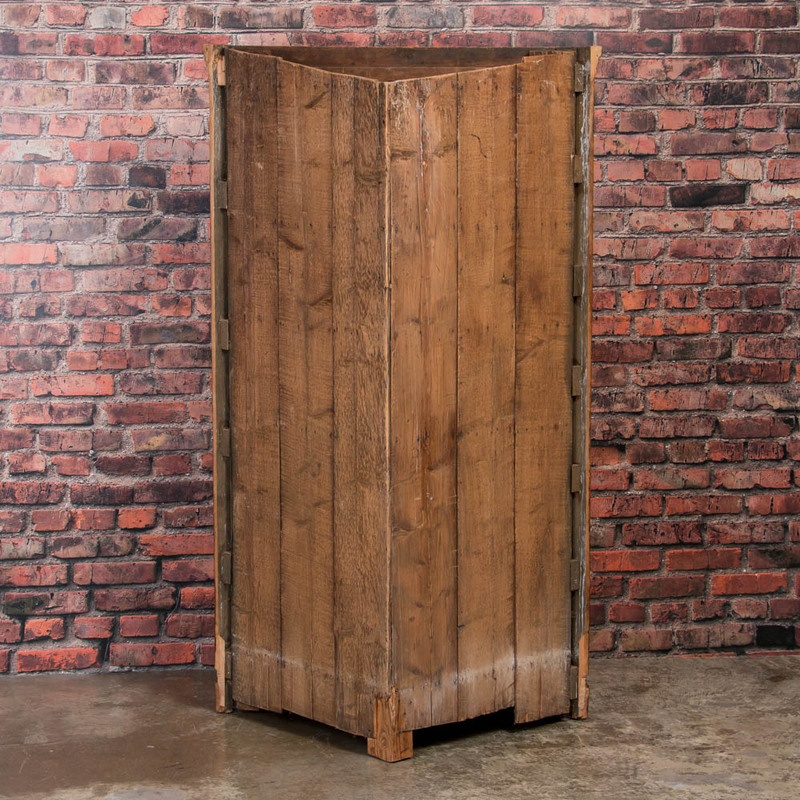 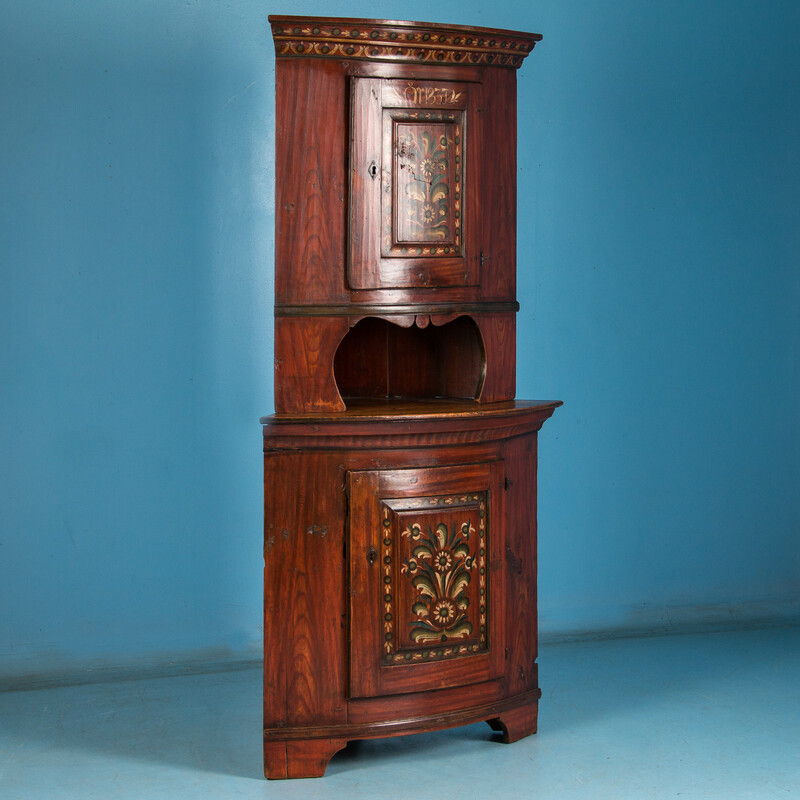 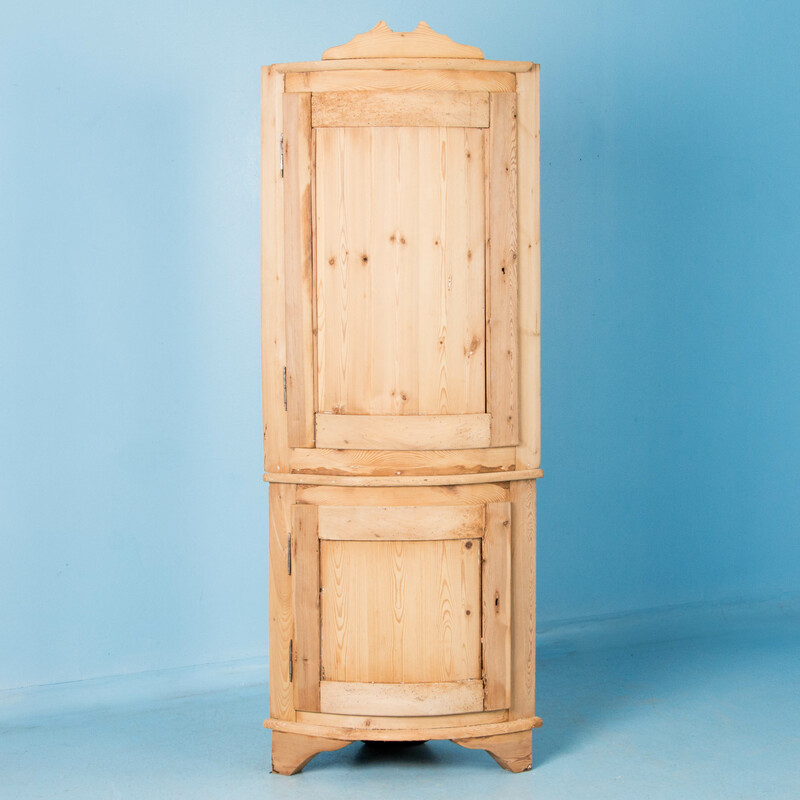 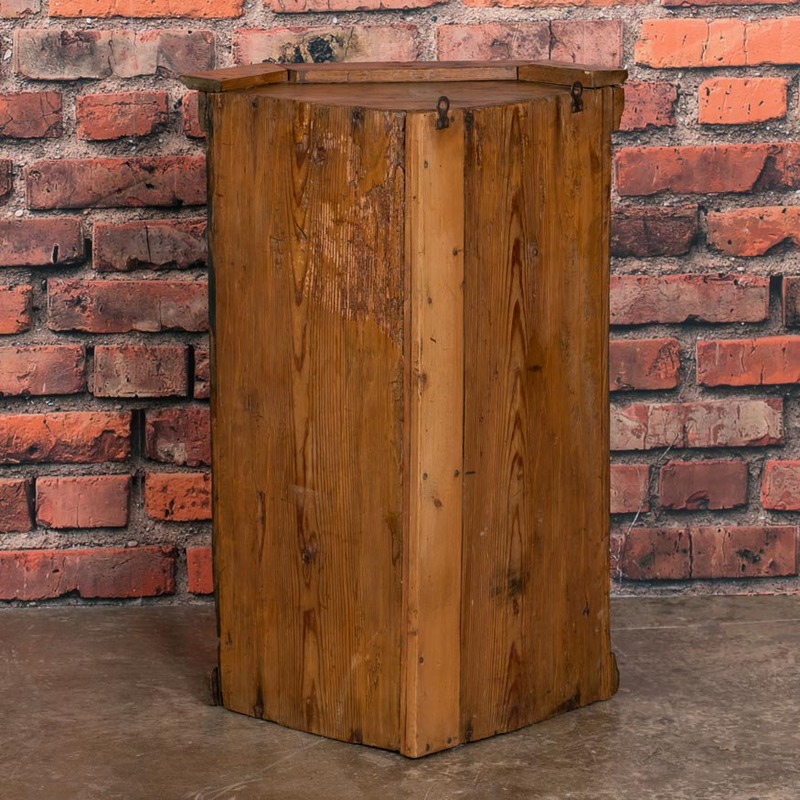 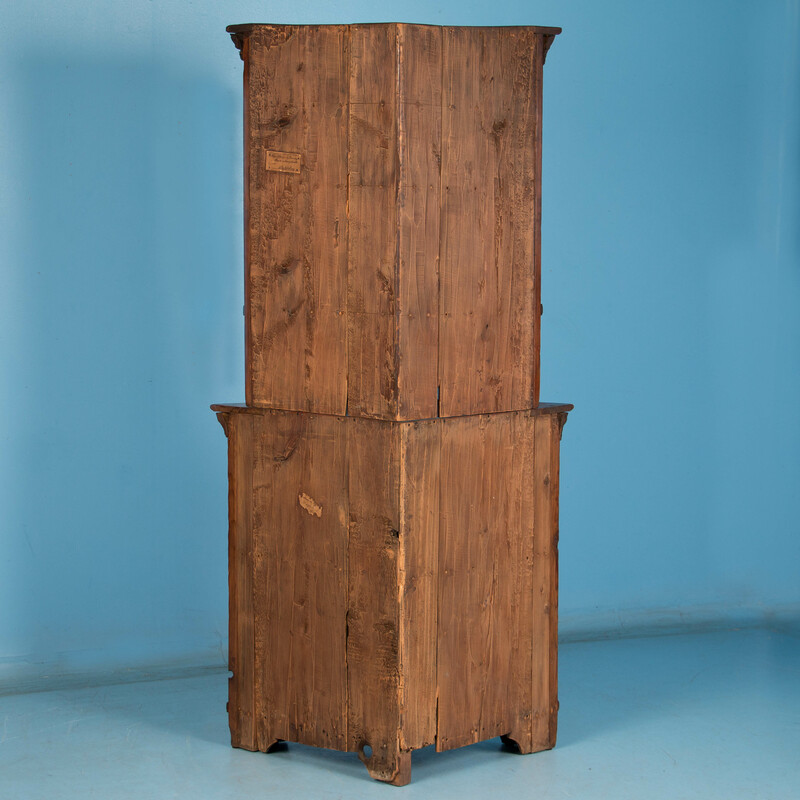 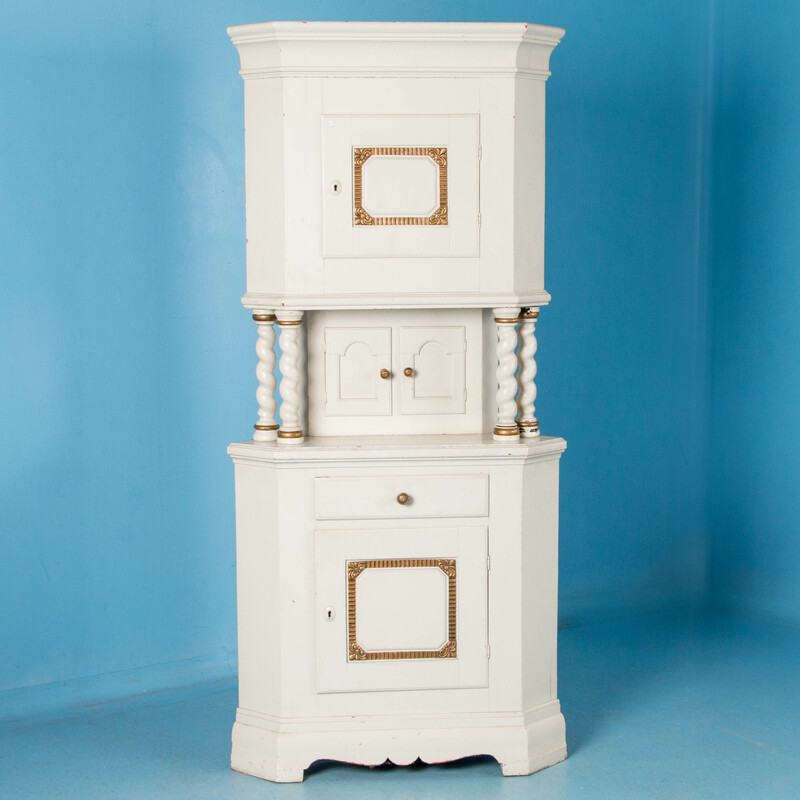 Antique 19th Century Danish Flame Birch Corner Cabinet. 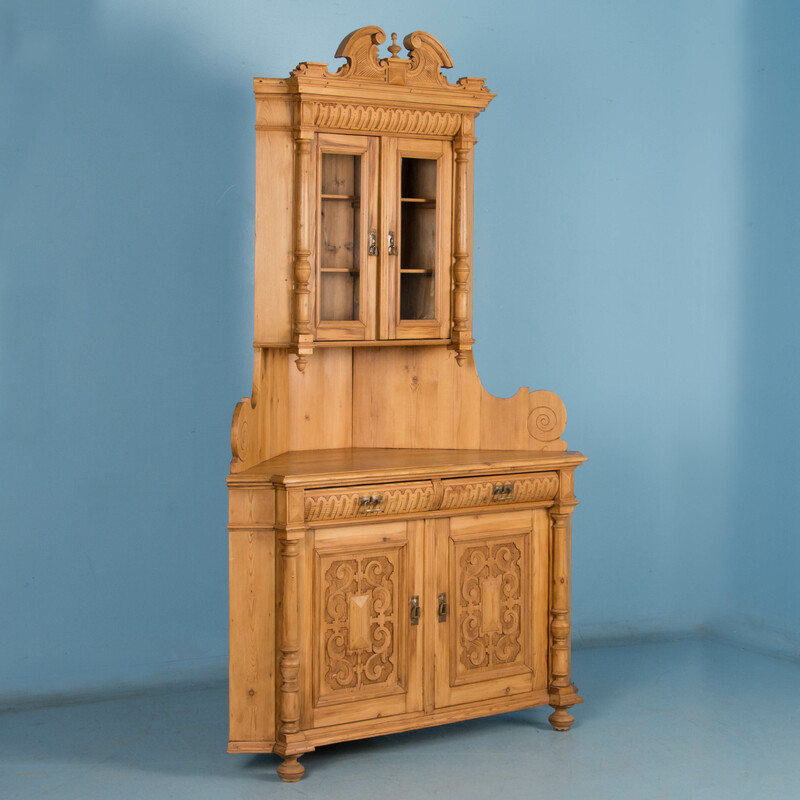 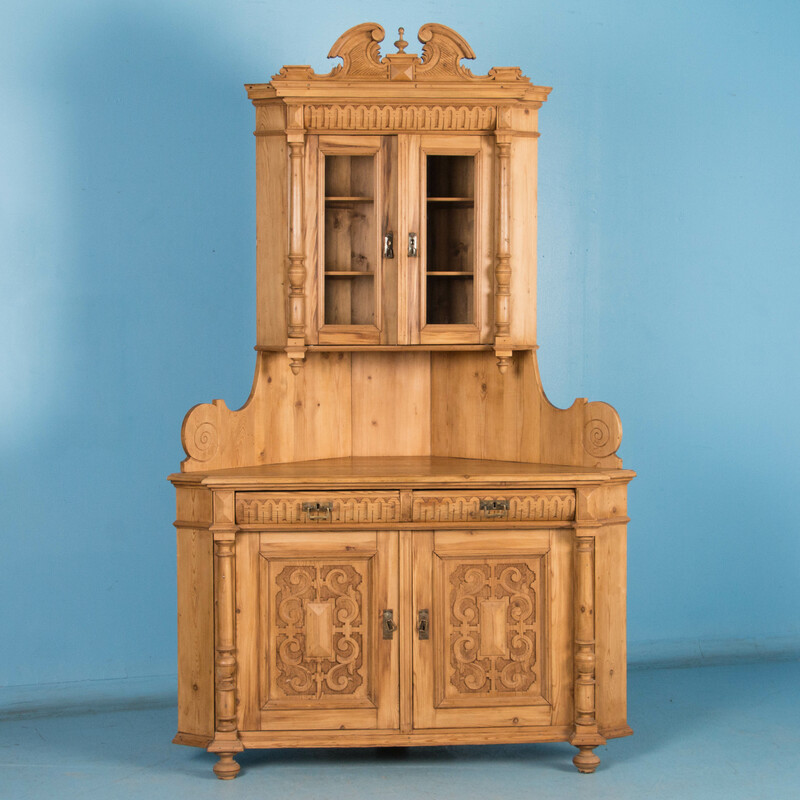 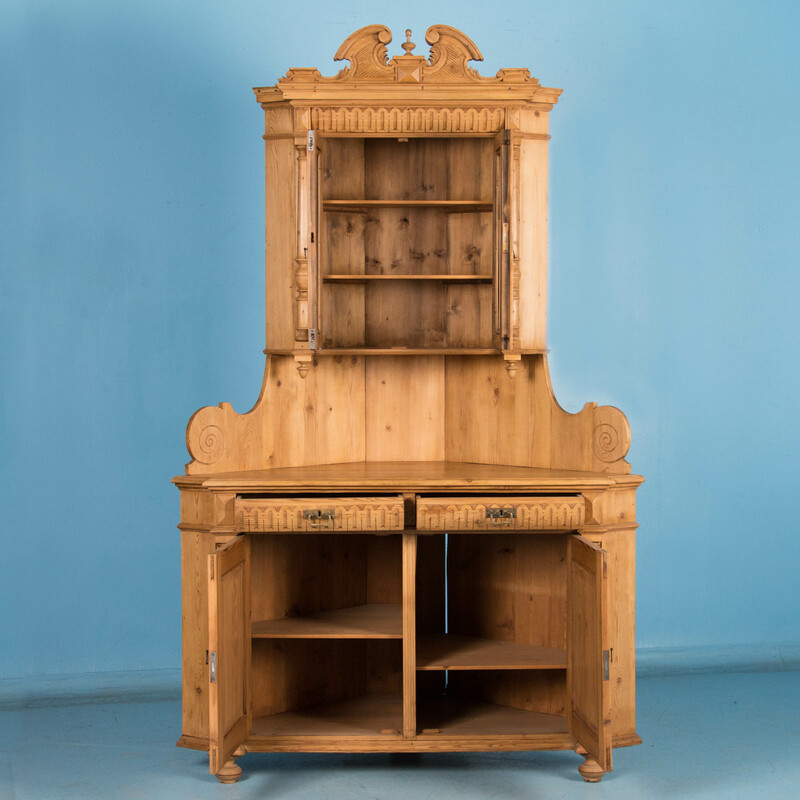 Antique carved oak corner cabinet in 2 parts, from Norway. 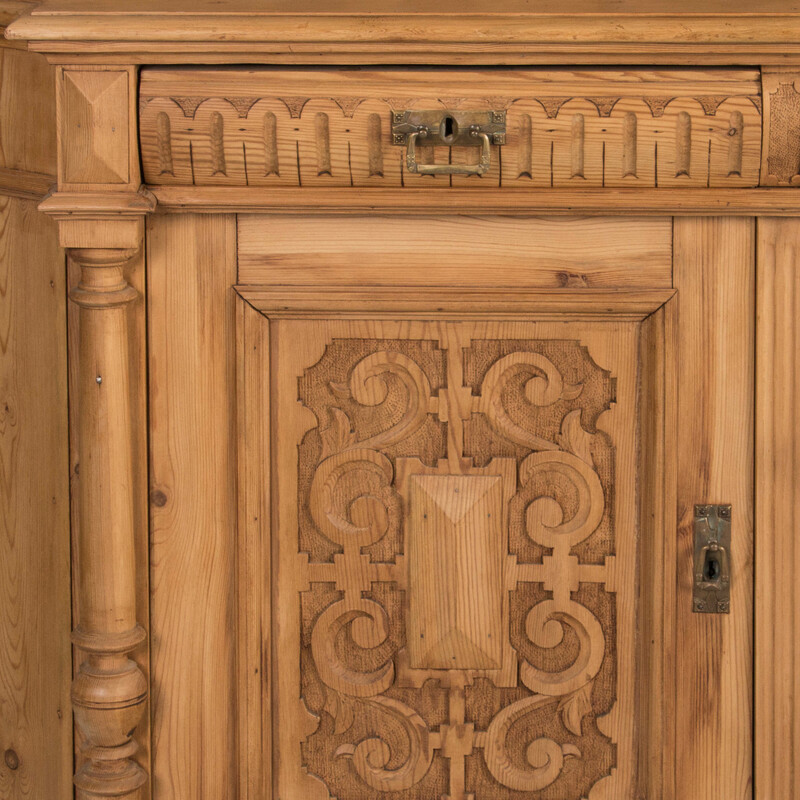 The upper section is a single mirrored door flanked by braided rope crving while the bottom cabinet has 2 carved paneled doors.